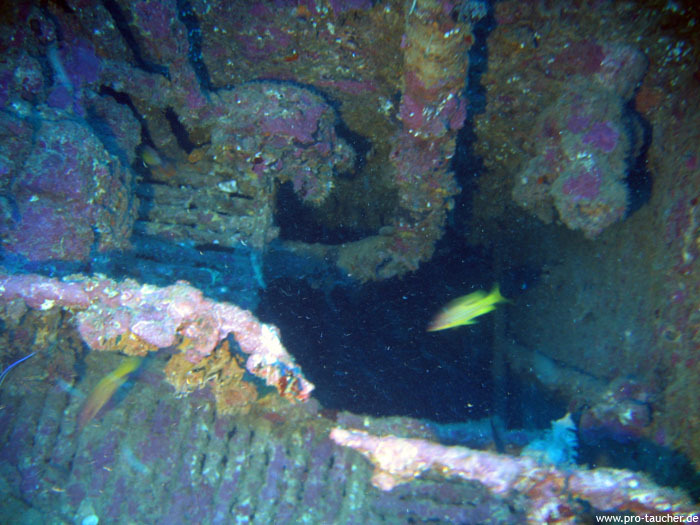 The SS Yongala was on a journey from Melbourne to Cairns and ran into a cyclone on March 11th 1911 and sank. 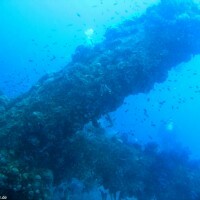 All 124 people on board were killed. 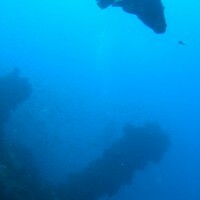 Since children were not listed in the passenger lists at that time, the actual number of victims was probably higher. 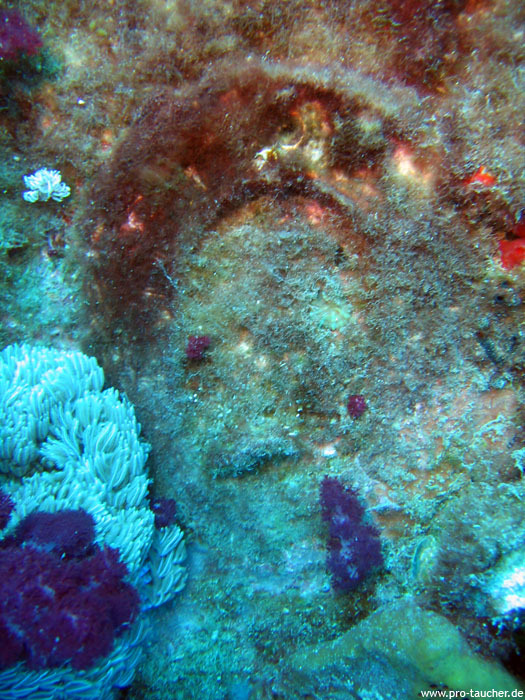 Everywhere it is mentioned that among the victims was also a racehorse called Moonshine, so this should not go unmentioned here as well. 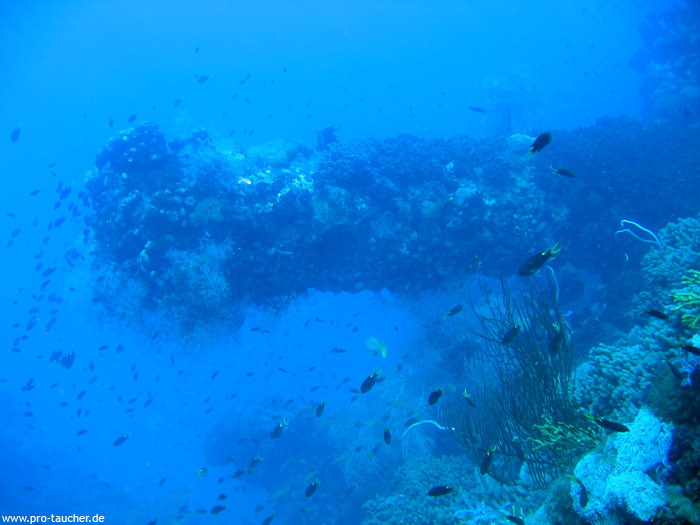 The sister ship SS Cooma survived the cyclone at Cape Bowling Green nearby. 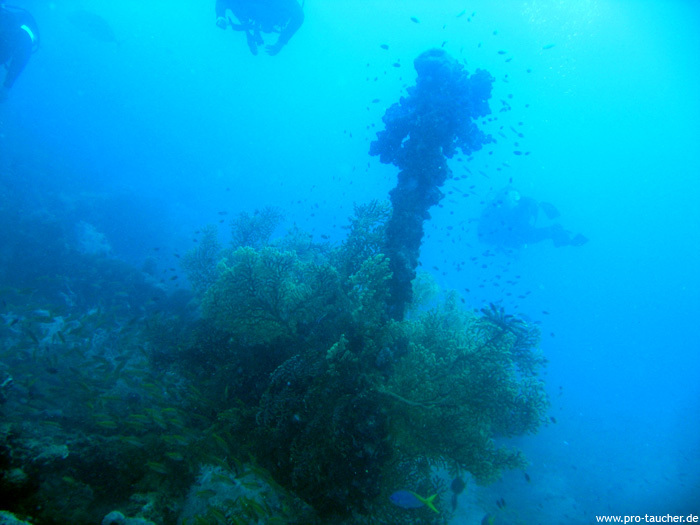 In Cairns, the SS Yongala should be overhauled, also a radio should be installed. 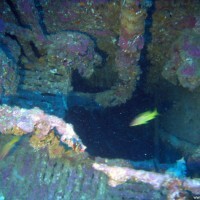 Such a radio would probably have prevented the disaster. 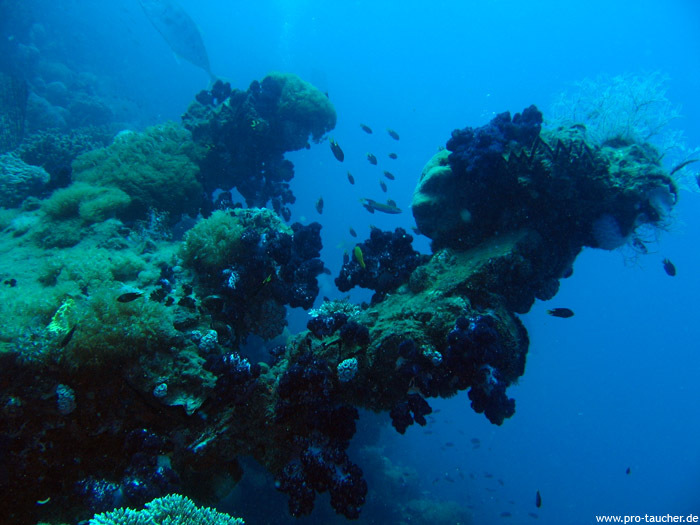 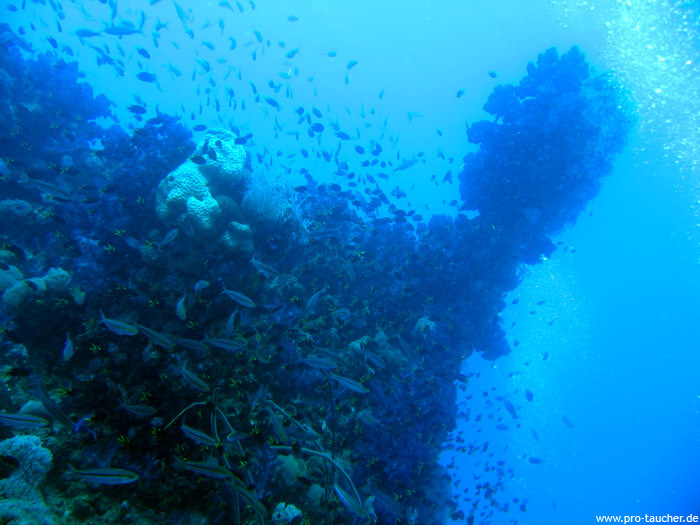 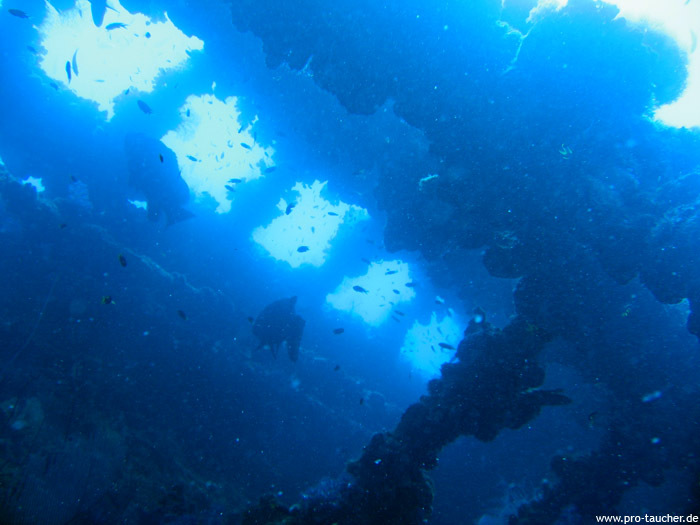 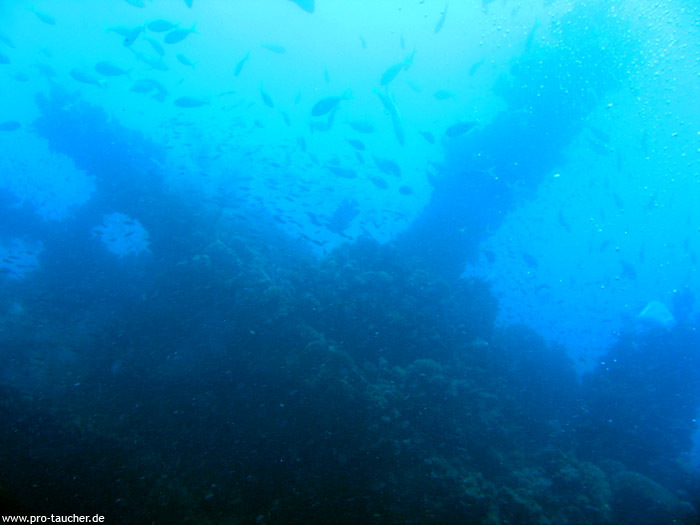 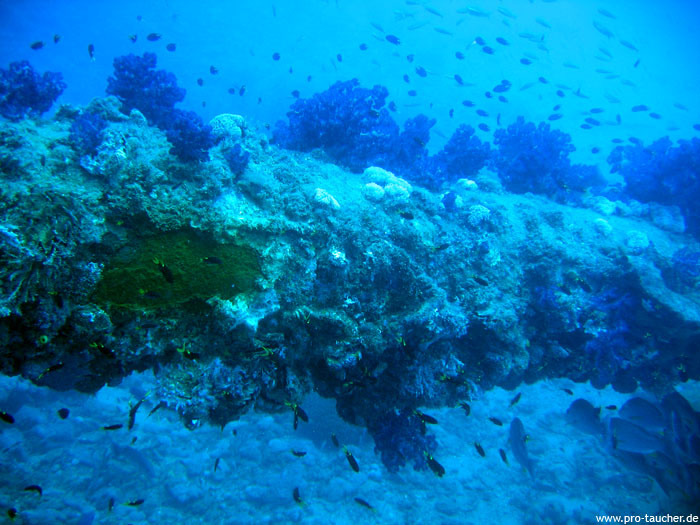 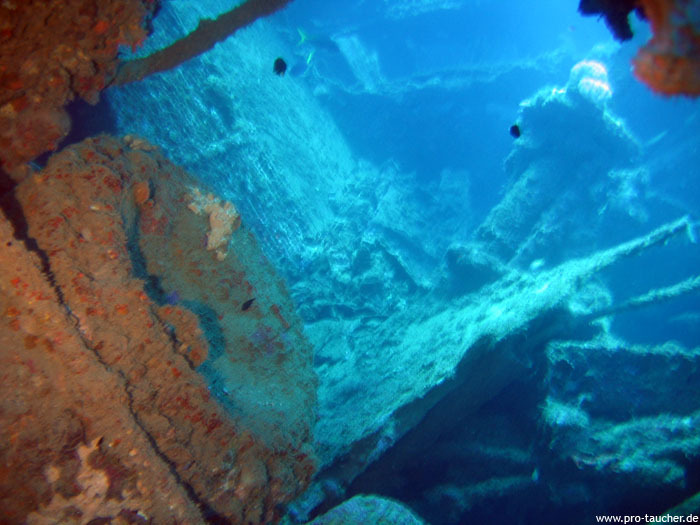 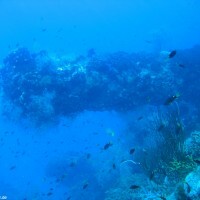 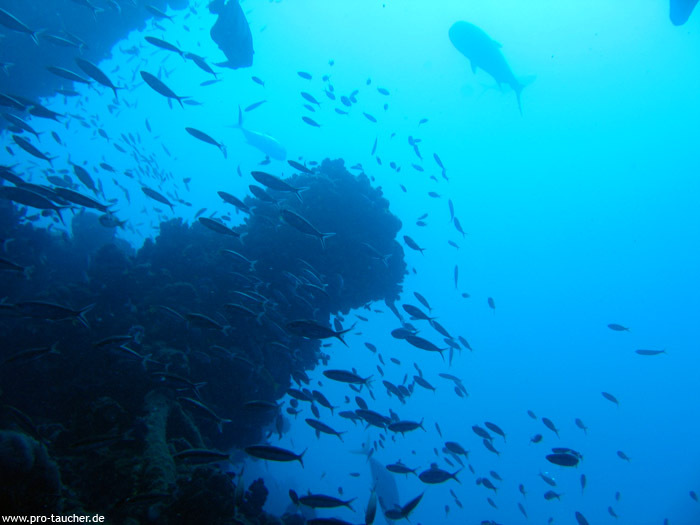 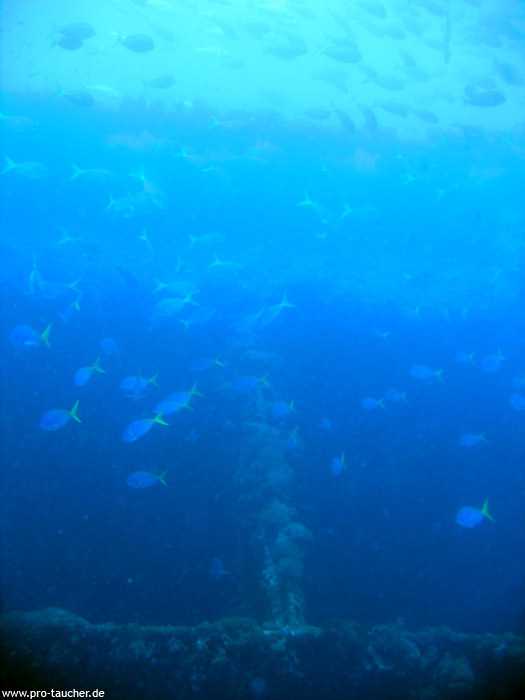 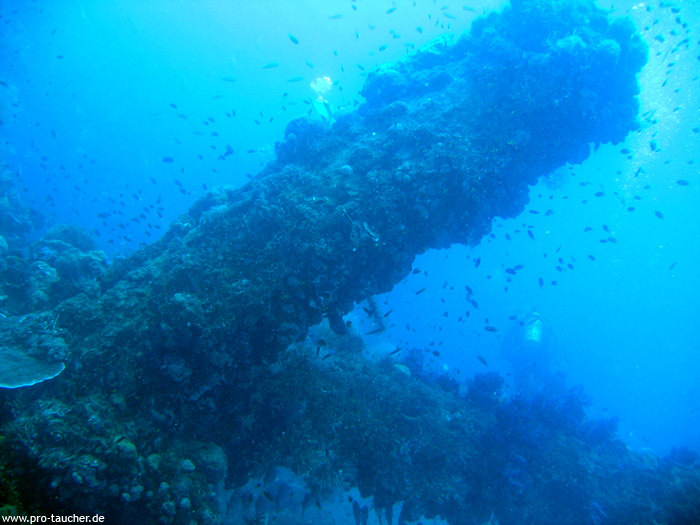 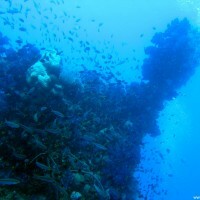 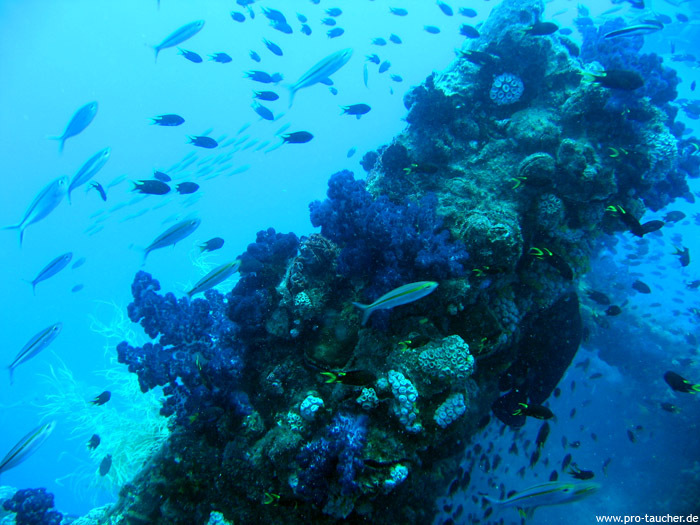 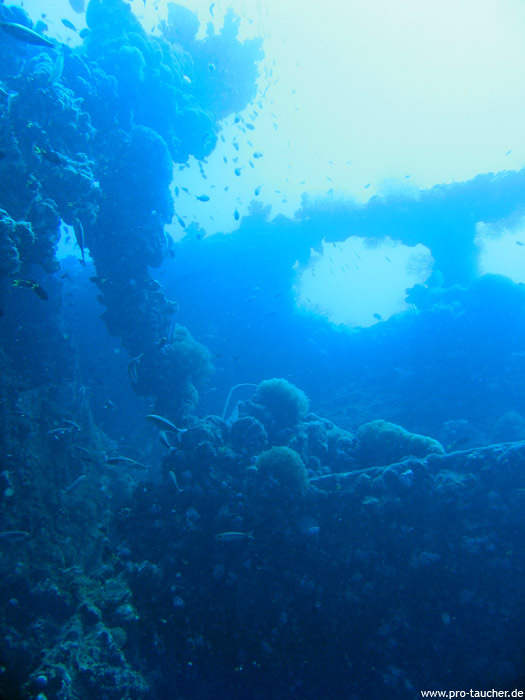 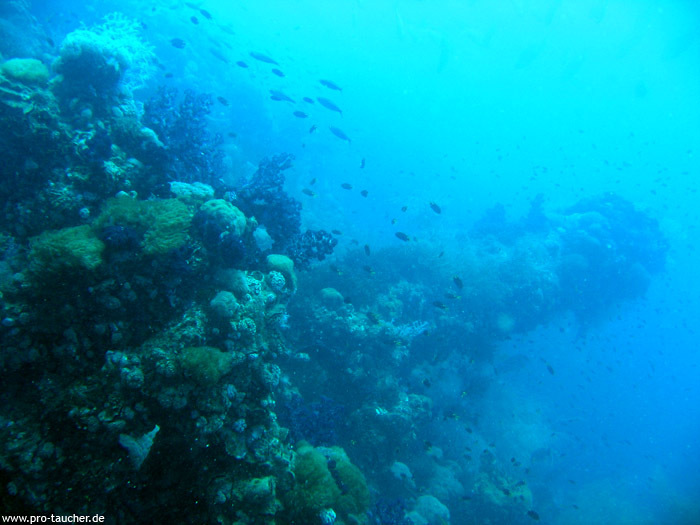 During the Second World War, the SS Yongala was discovered, but not identified and noted as an unknown wreck. 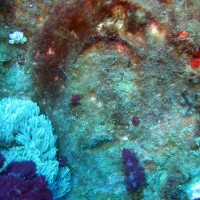 It was rediscovered in 1958 and identified in 1961. 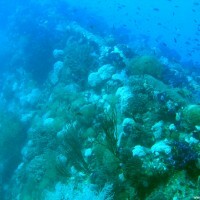 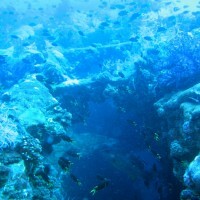 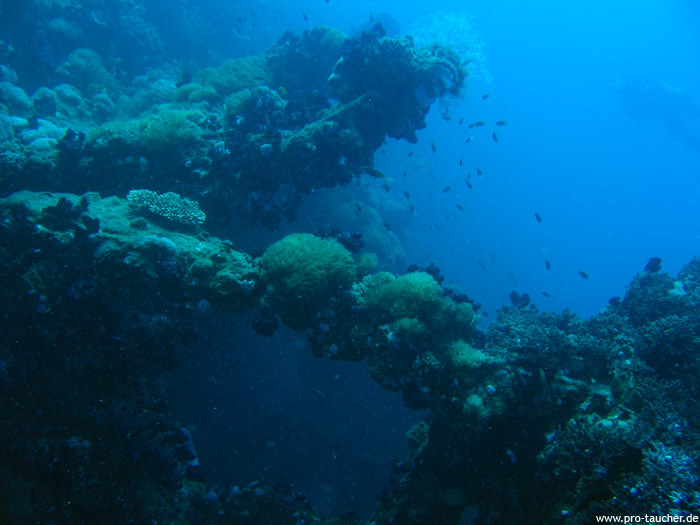 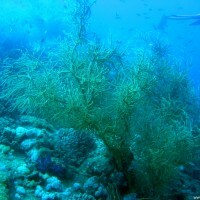 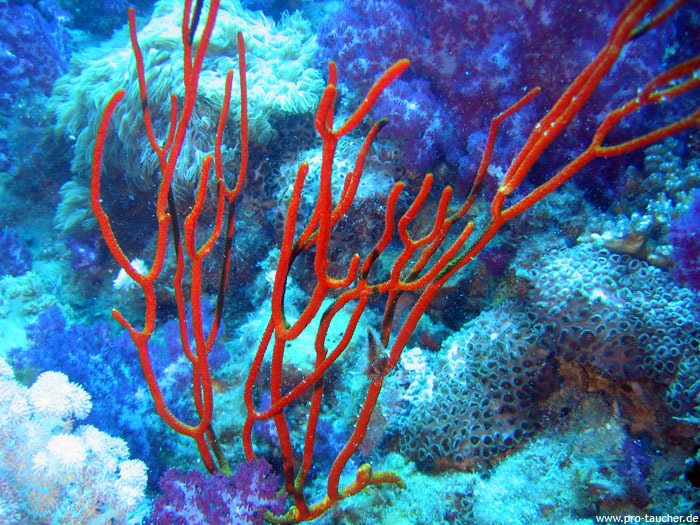 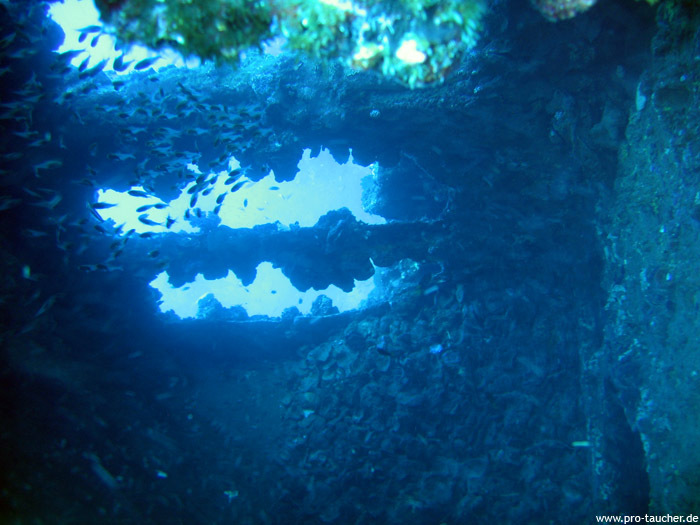 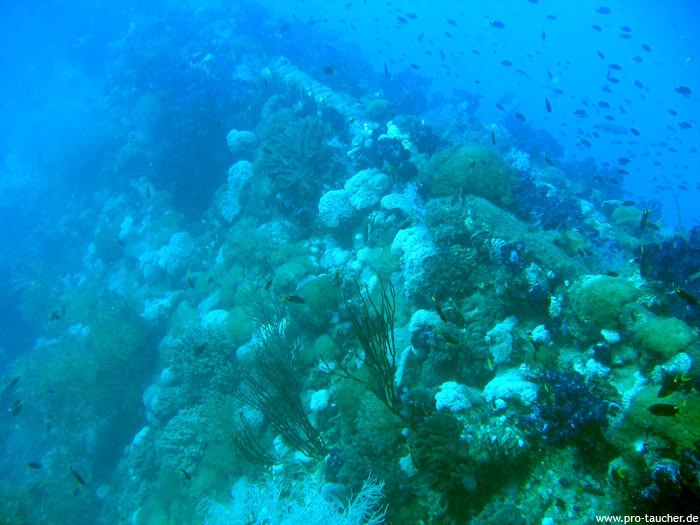 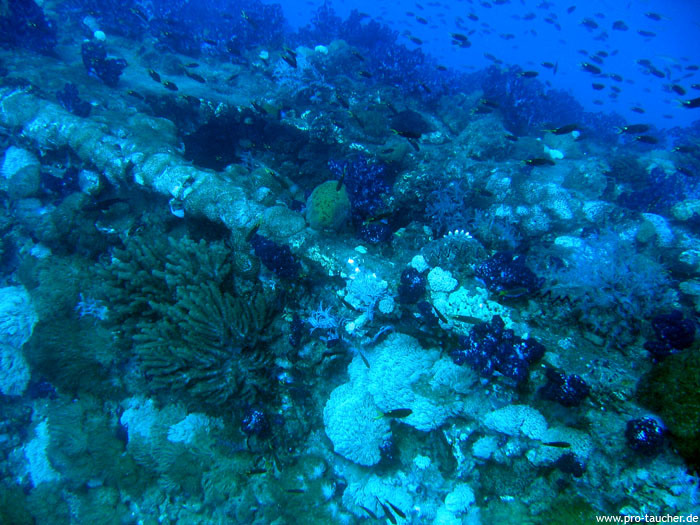 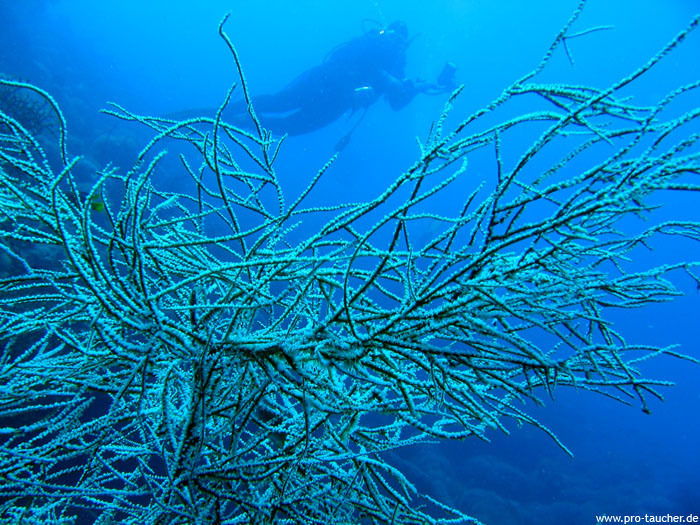 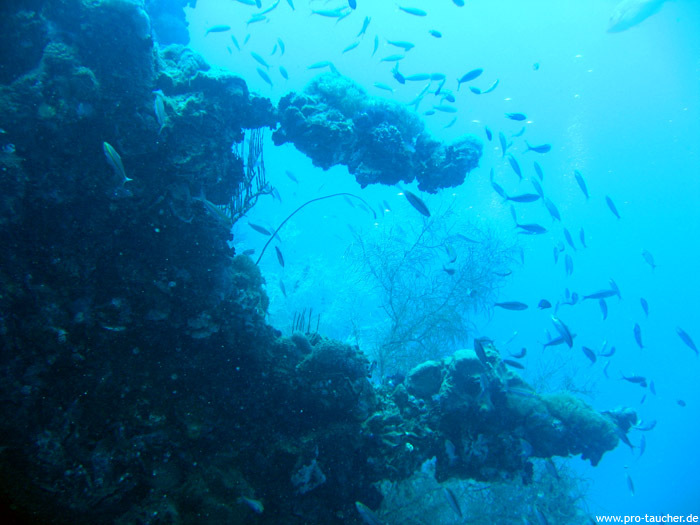 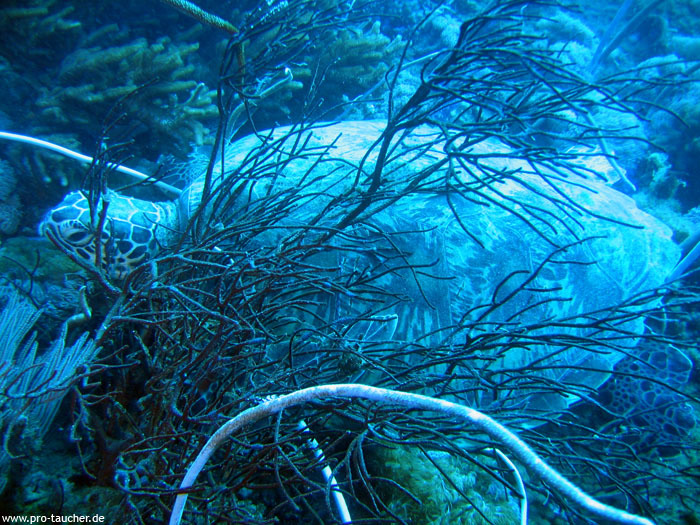 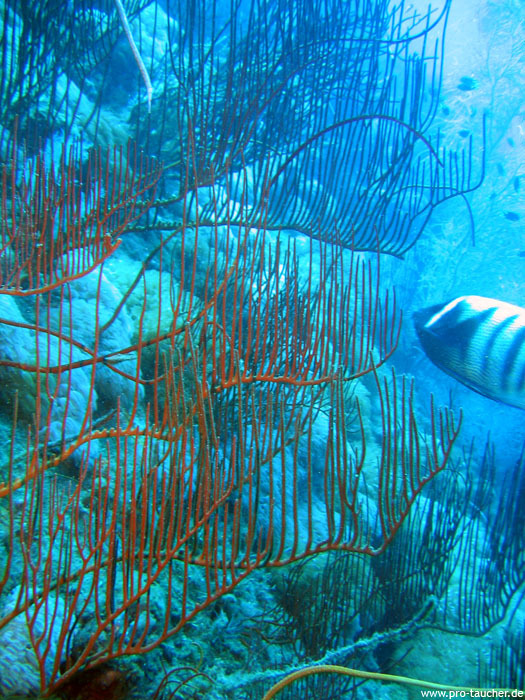 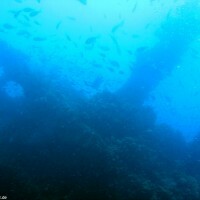 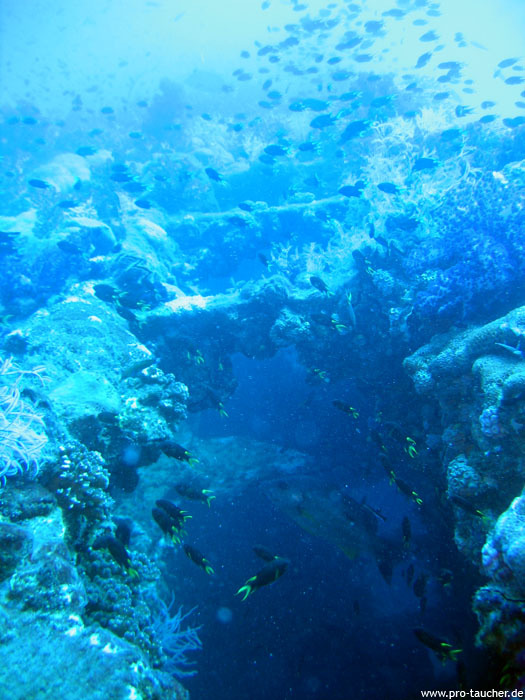 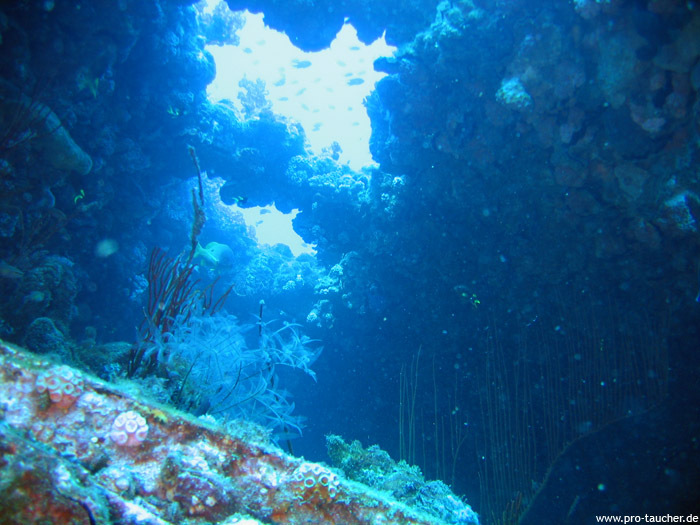 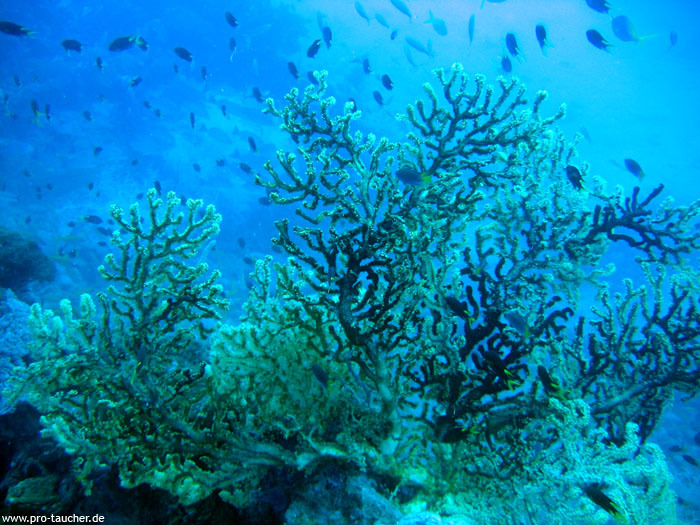 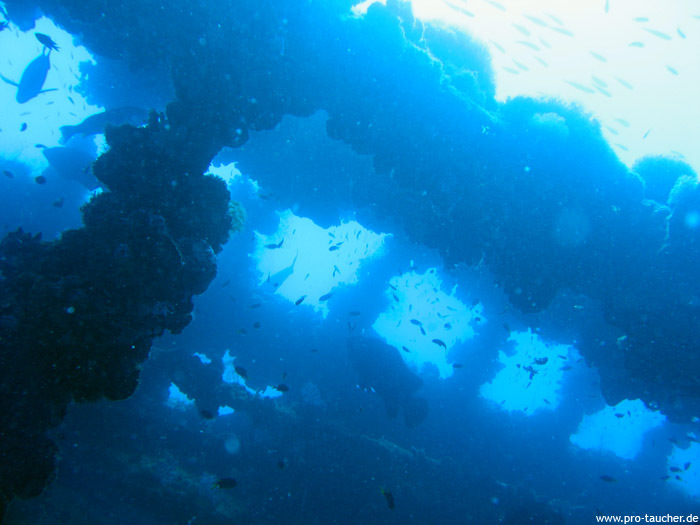 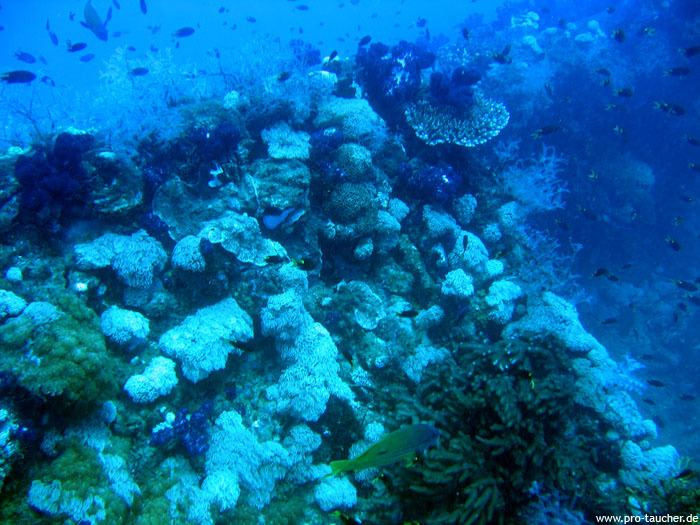 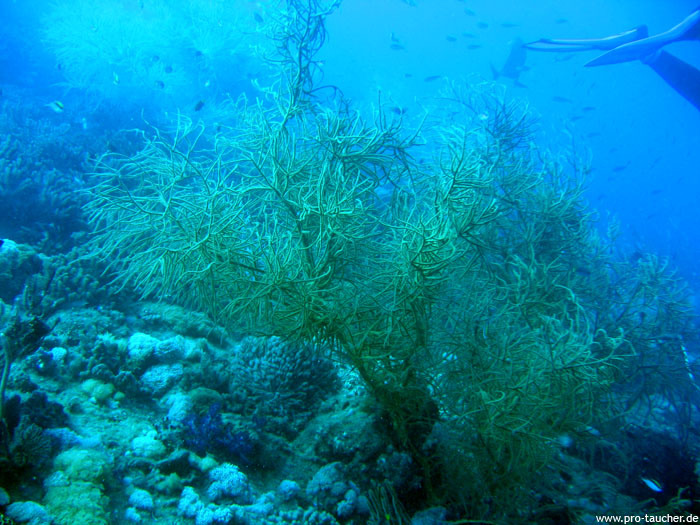 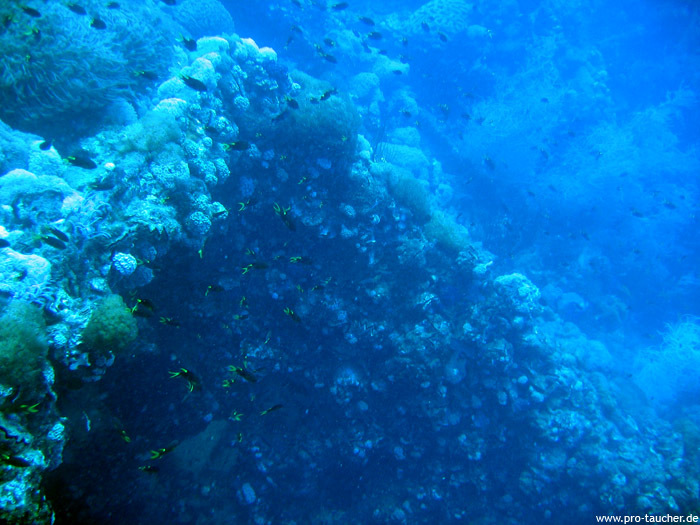 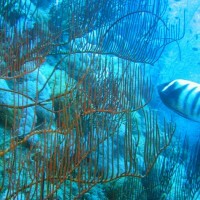 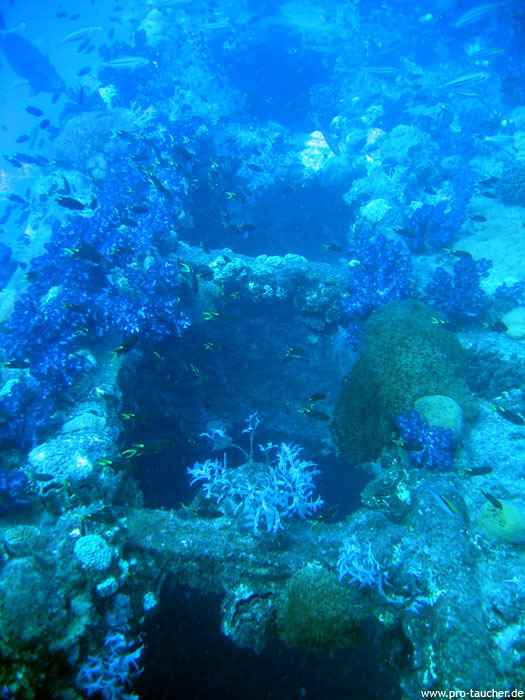 Worth seeing are the superstructures, even if many things are almost unrecognizable overgrown by corals. 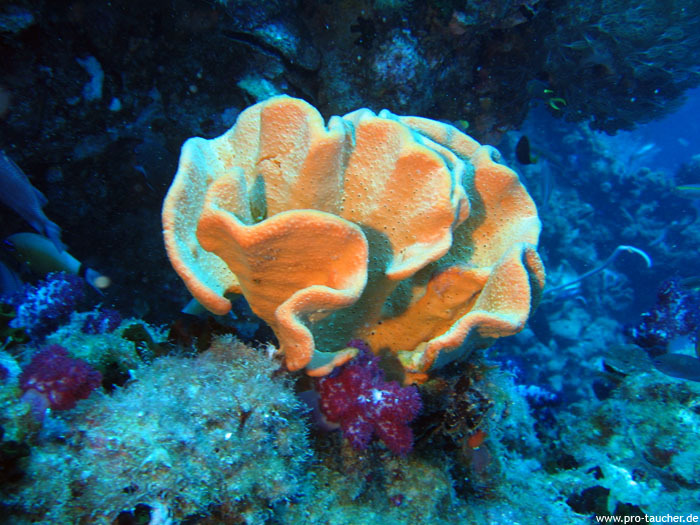 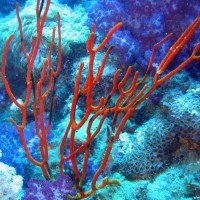 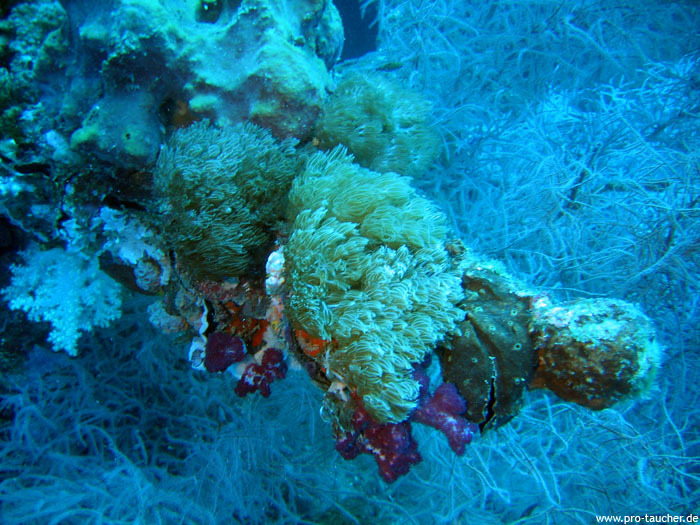 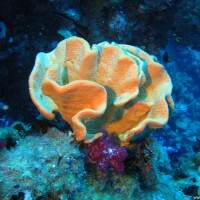 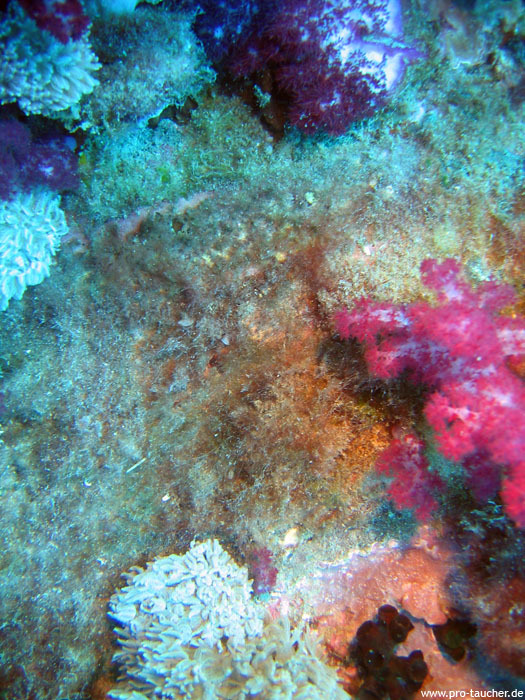 Soft corals are the majority here. 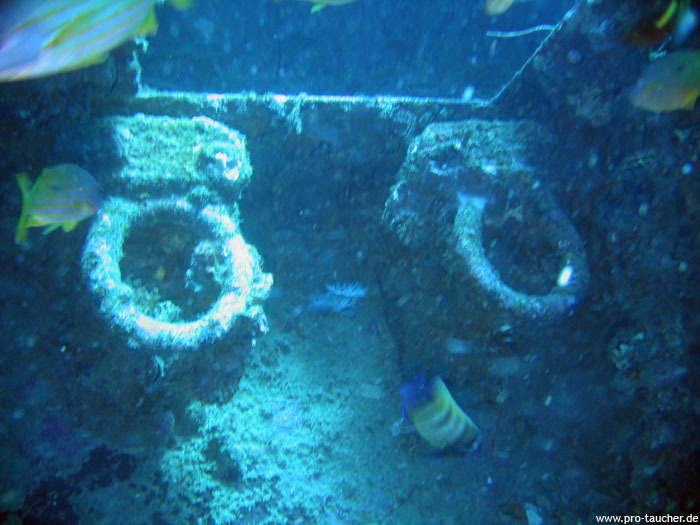 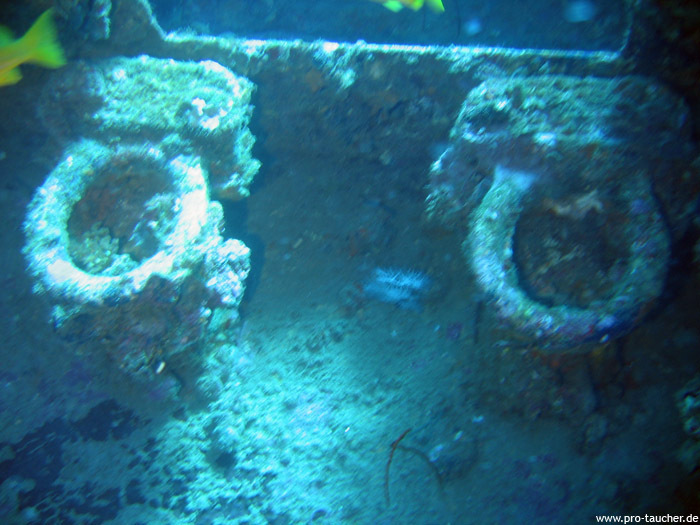 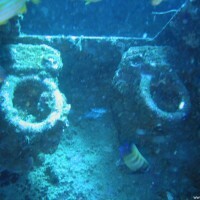 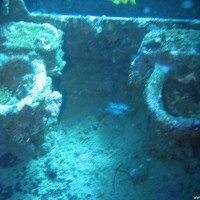 A special highlight are the toilets and at the front of the bow on the port side the big letters of the name "YONGALA". 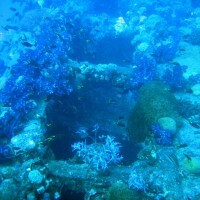 It has not been allowed to dive in for several years because of the damage caused by careless divers and rising air bubbles. 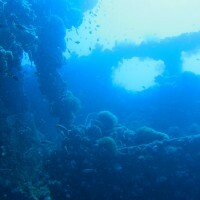 At the bow just drop down to the bottom of the sea and see through under the hull. 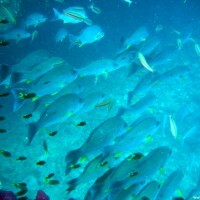 Breathtaking, here you can enjoy the purest fish soup. 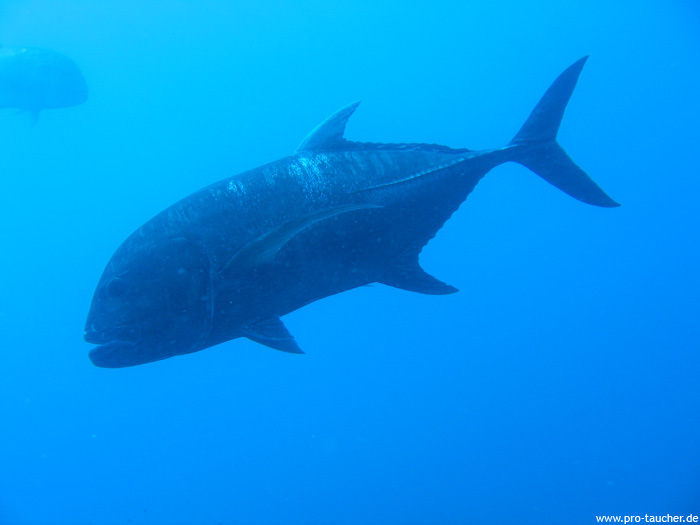 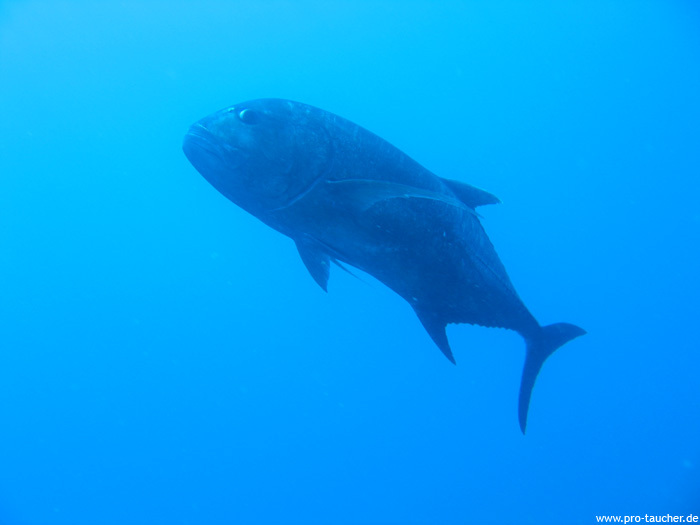 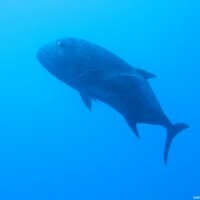 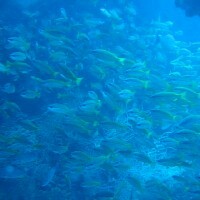 In addition to large turtles and a lot of swarming fish we have seen, we saw among other things humphead wrasses, mackerels and sea snakes. 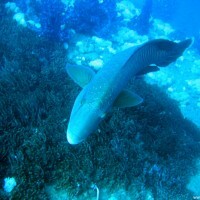 Sharks were not there, but they have been seen many times. 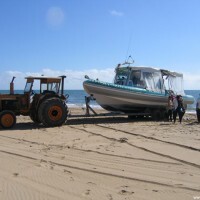 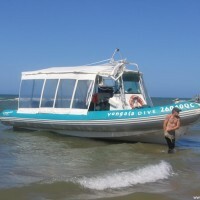 A boat trip to Yongala is not cheap, you need to plan with about 200 AU$. 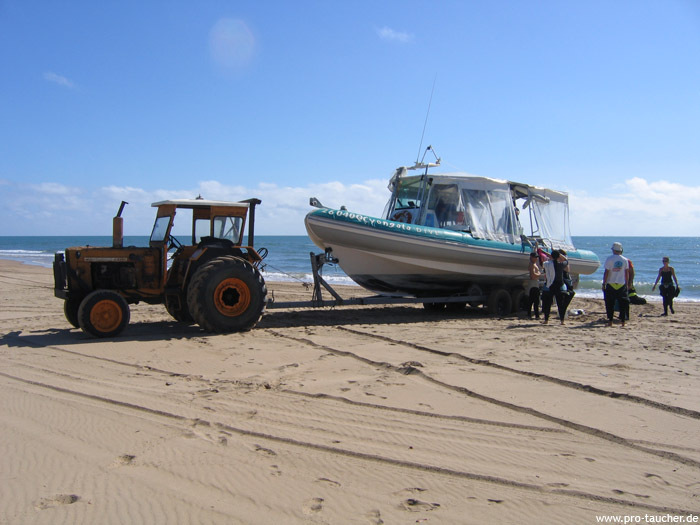 Highly recommended is a trip from Ayr, because the ride from there only about an hour, or, when the Captain is in a good mood, significantly shorter. 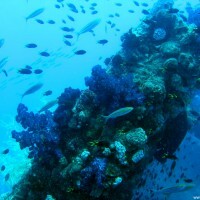 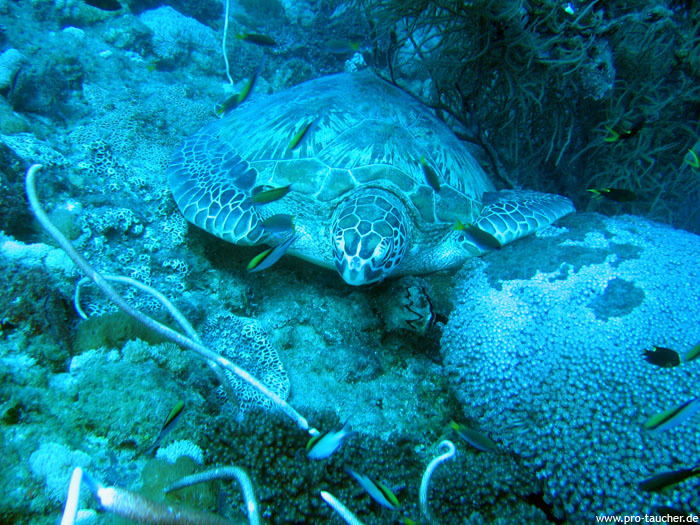 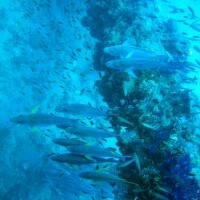 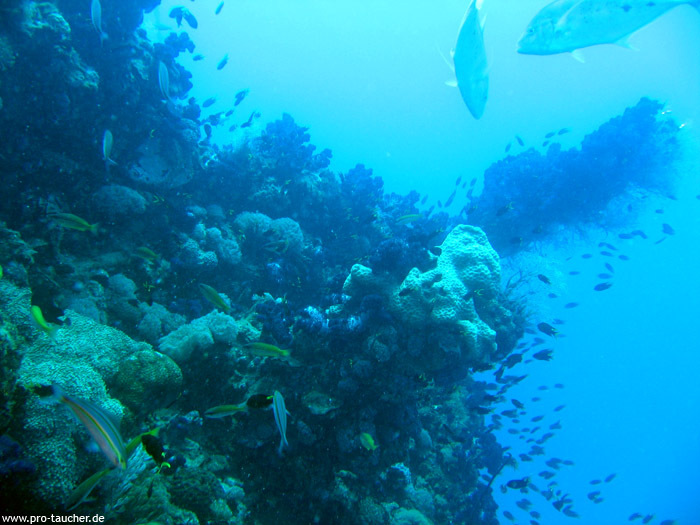 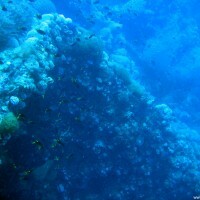 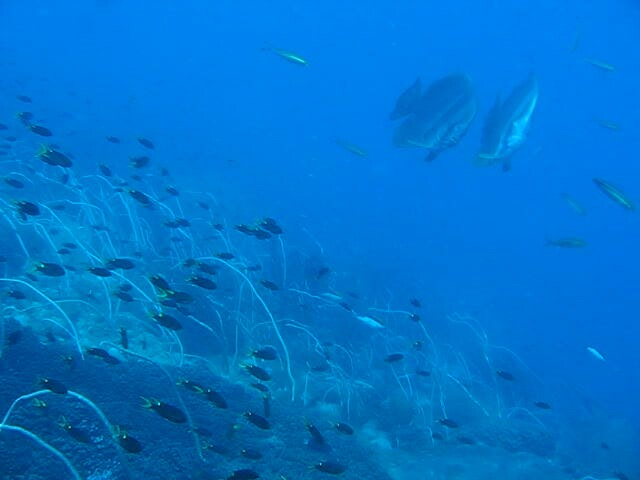 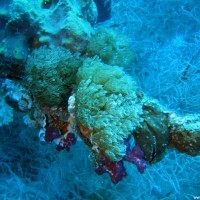 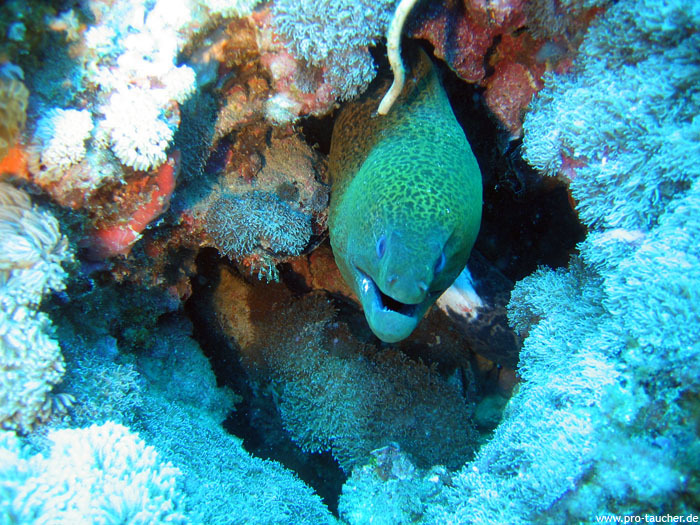 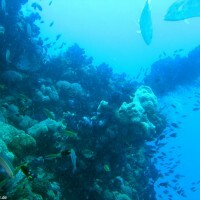 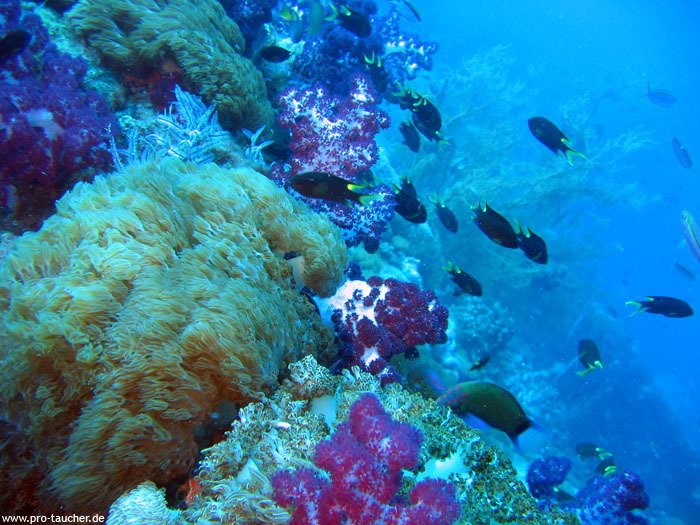 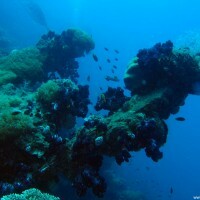 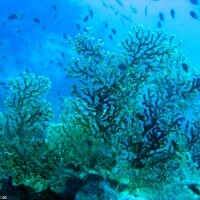 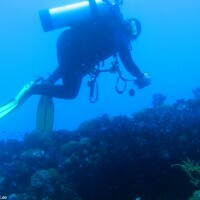 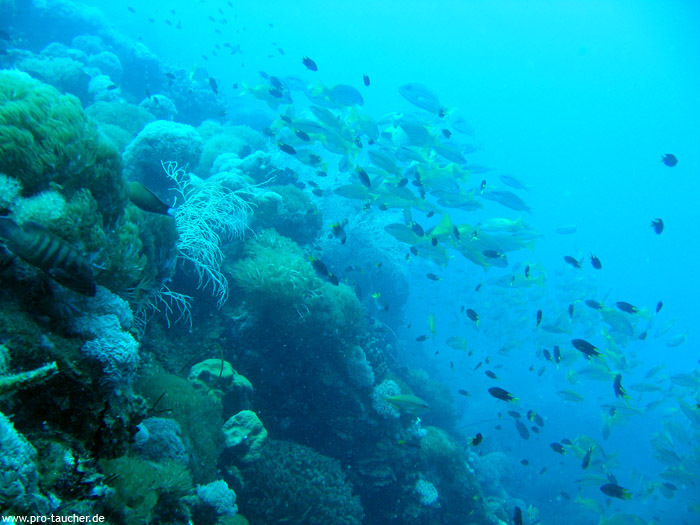 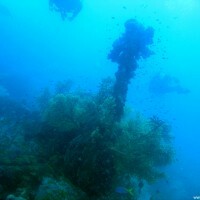 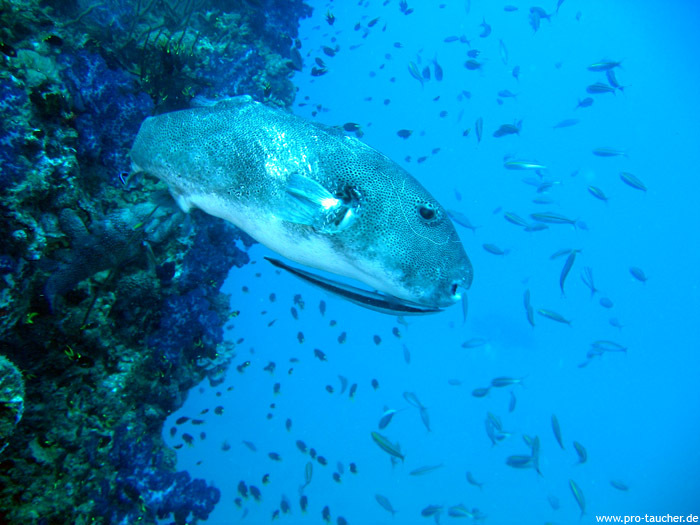 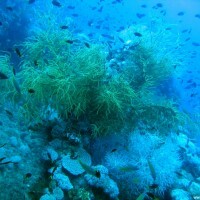 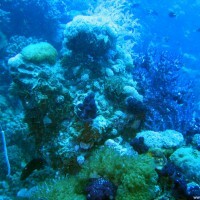 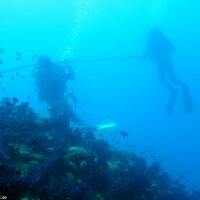 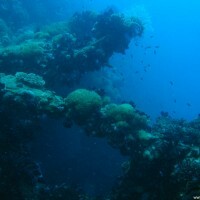 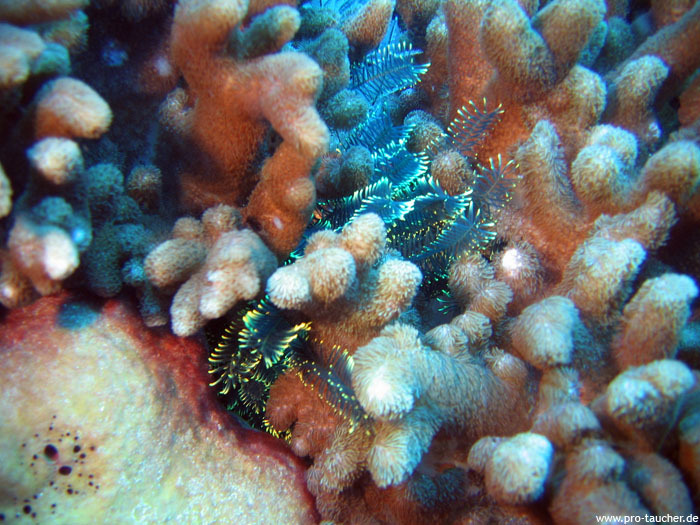 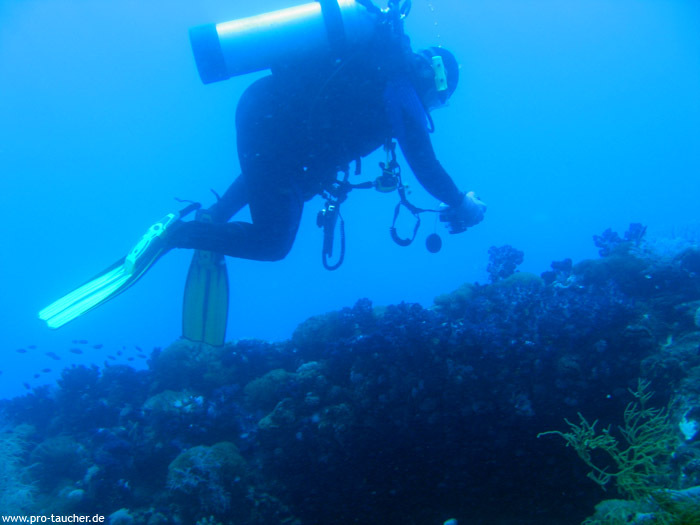 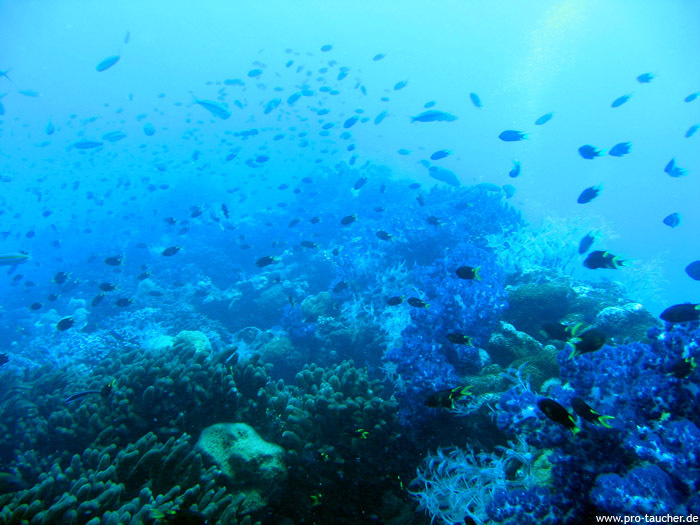 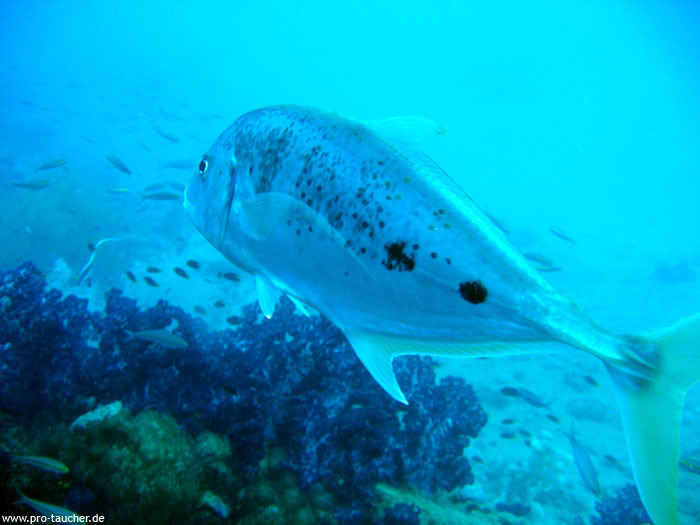 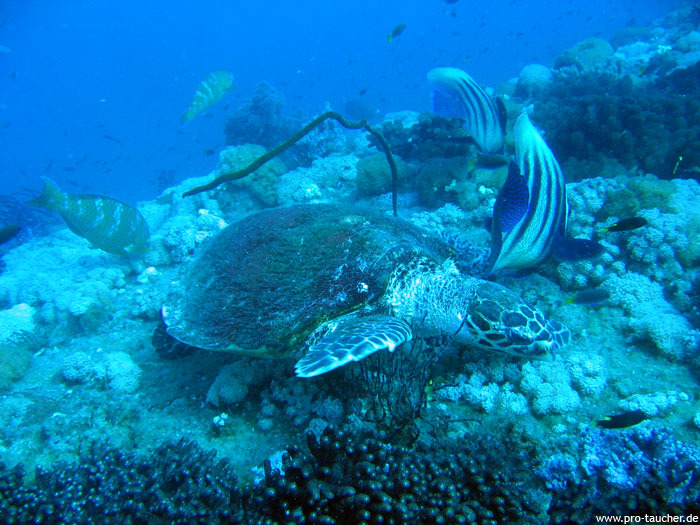 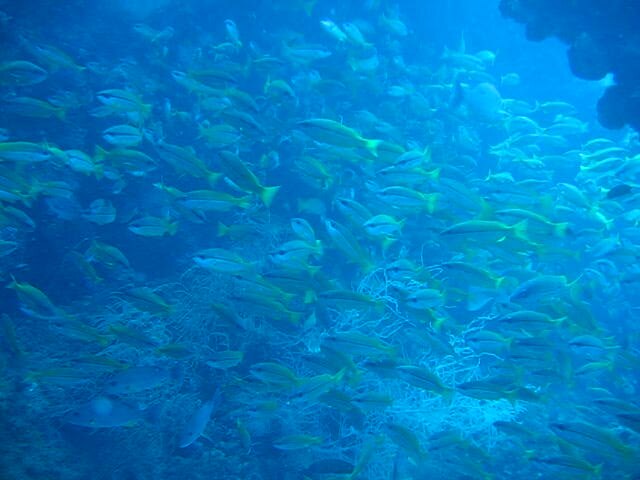 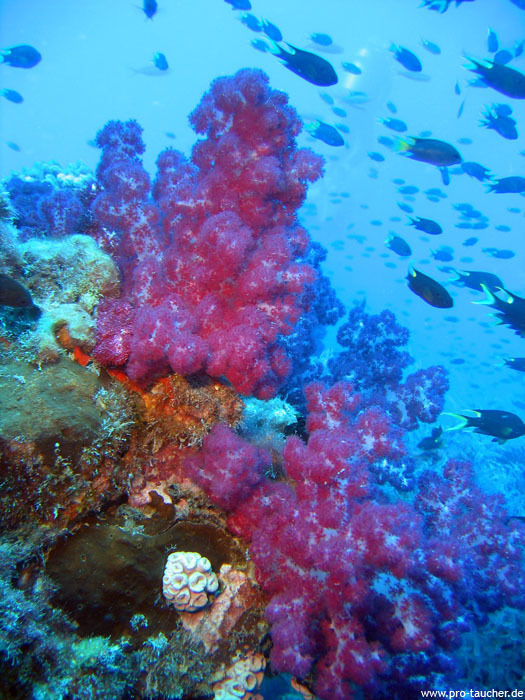 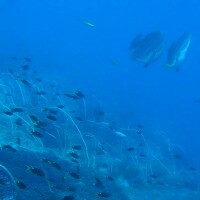 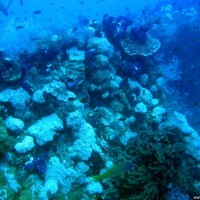 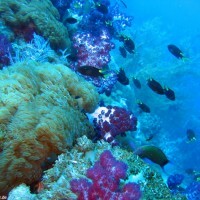 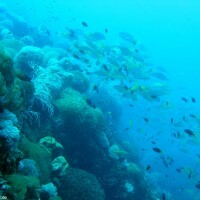 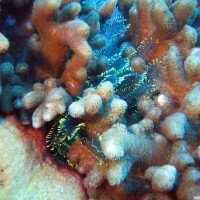 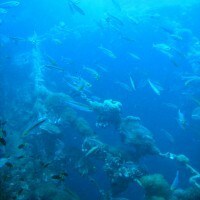 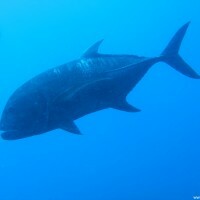 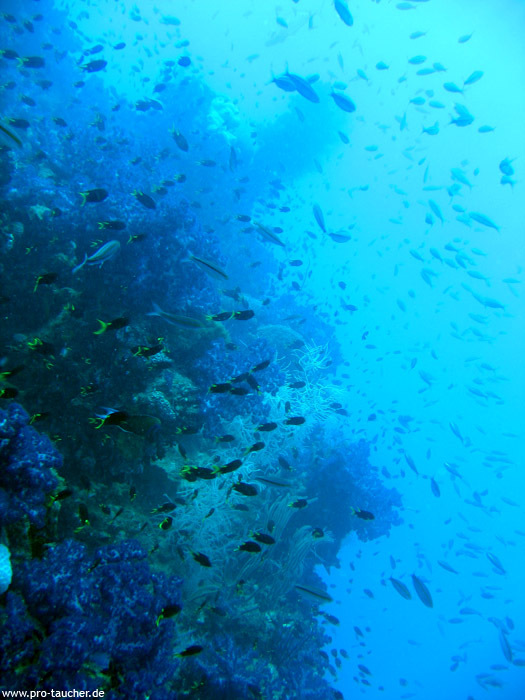 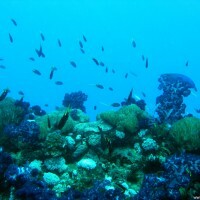 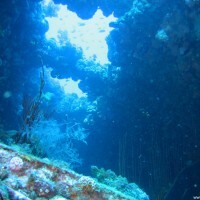 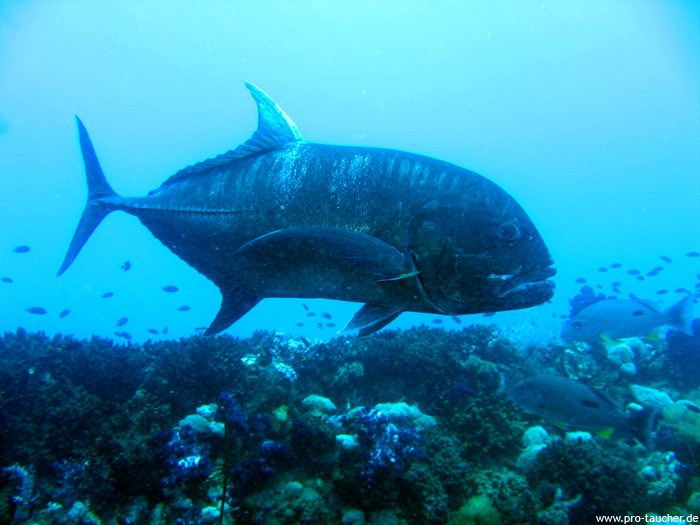 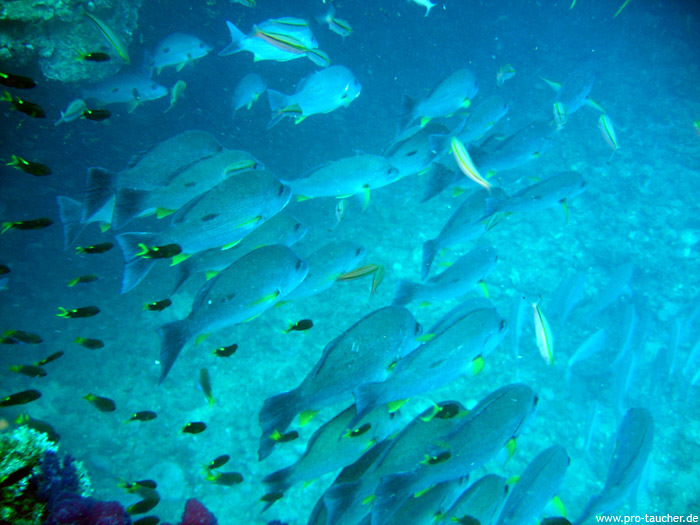 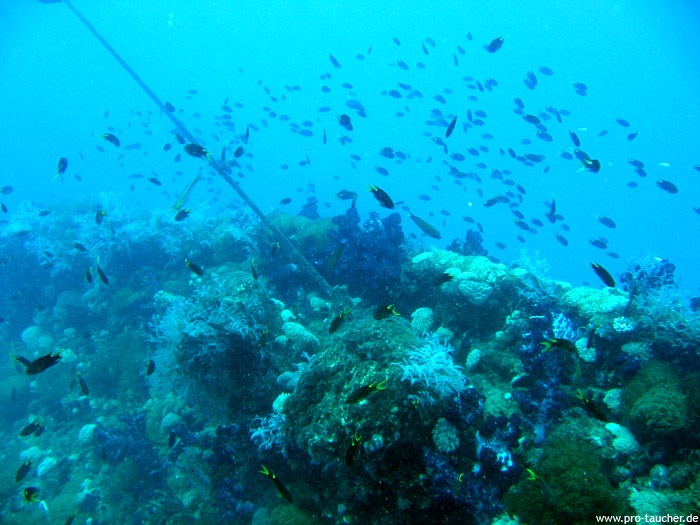 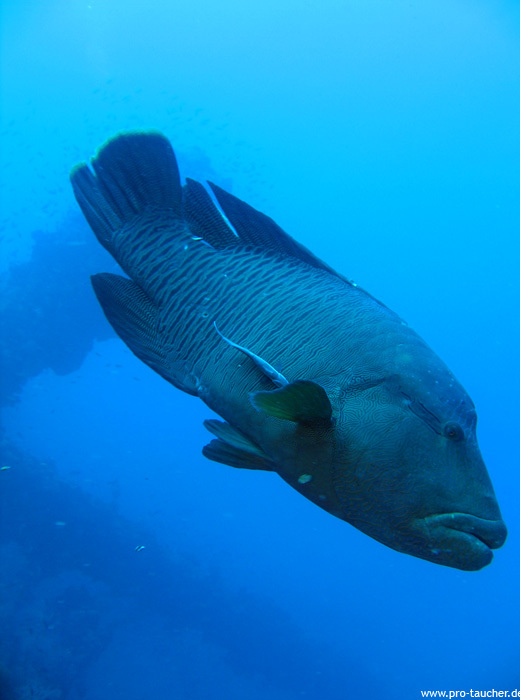 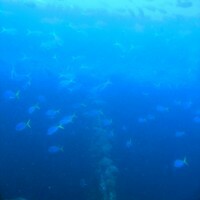 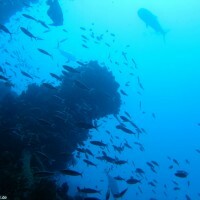 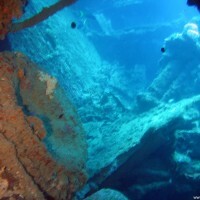 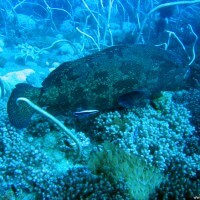 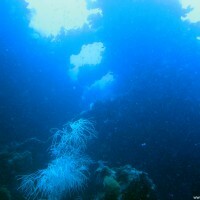 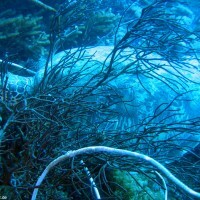 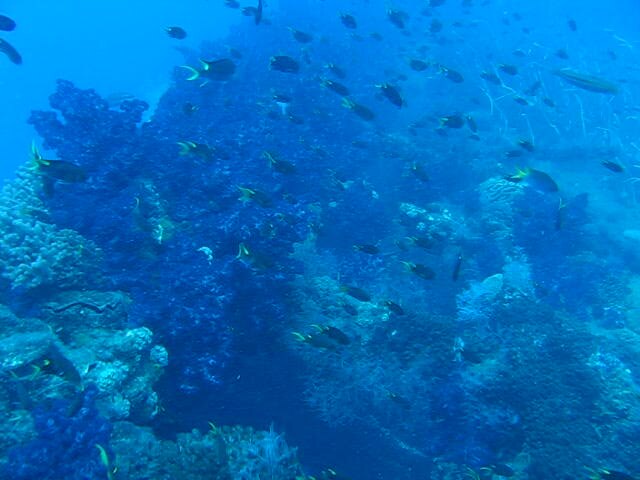 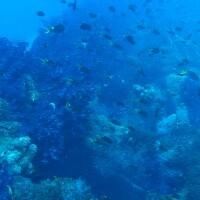 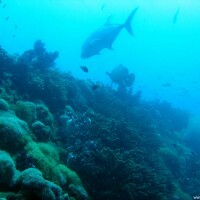 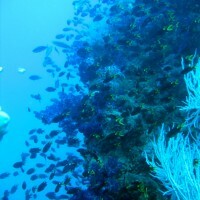 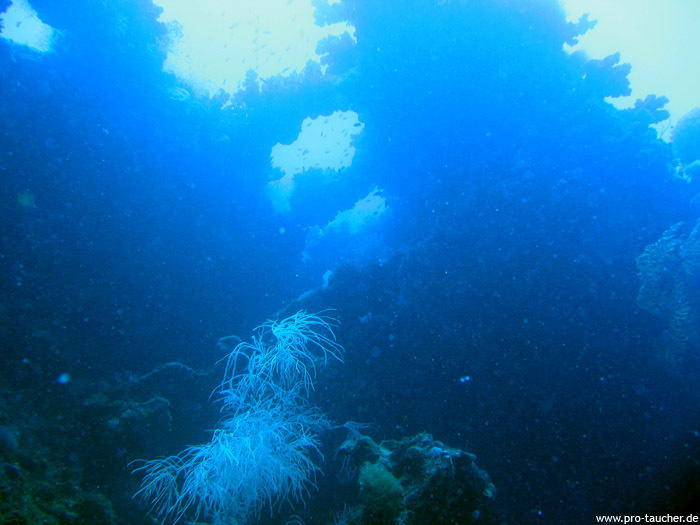 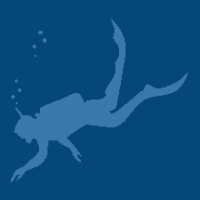 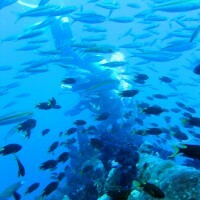 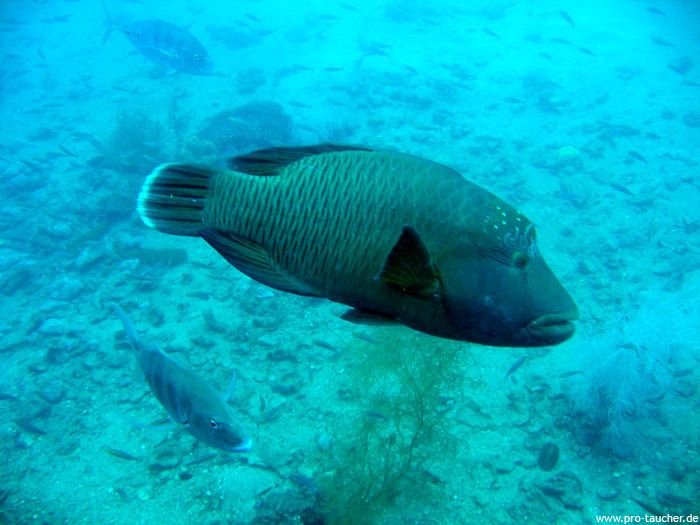 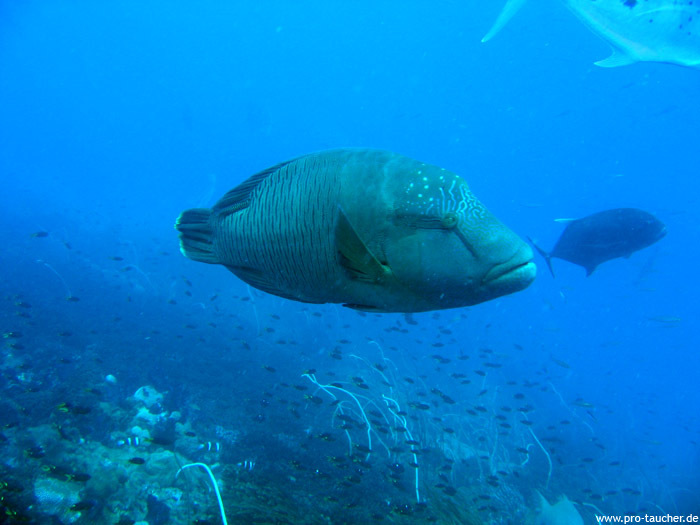 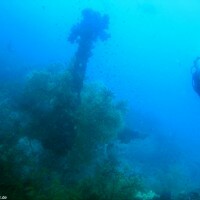 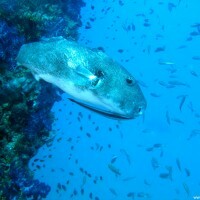 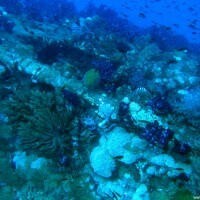 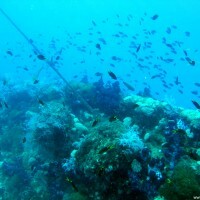 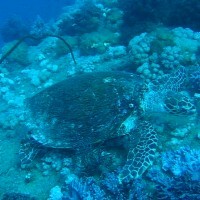 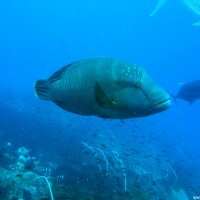 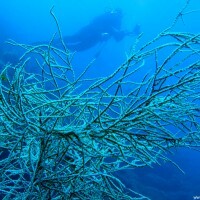 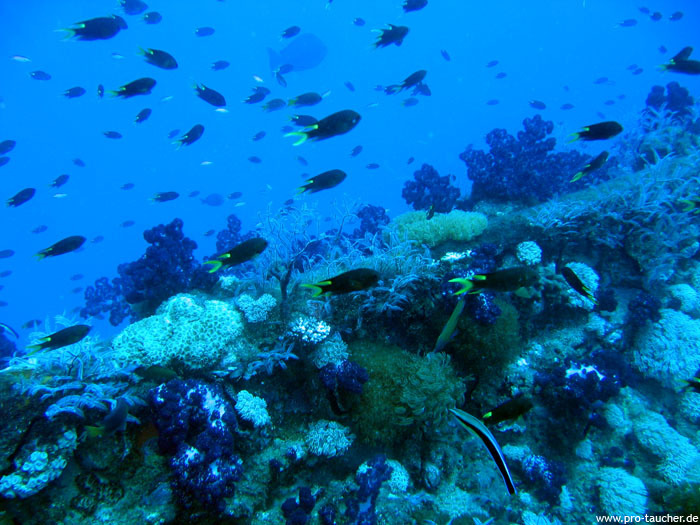 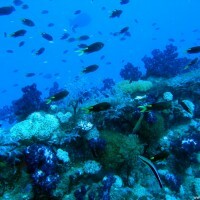 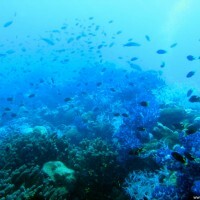 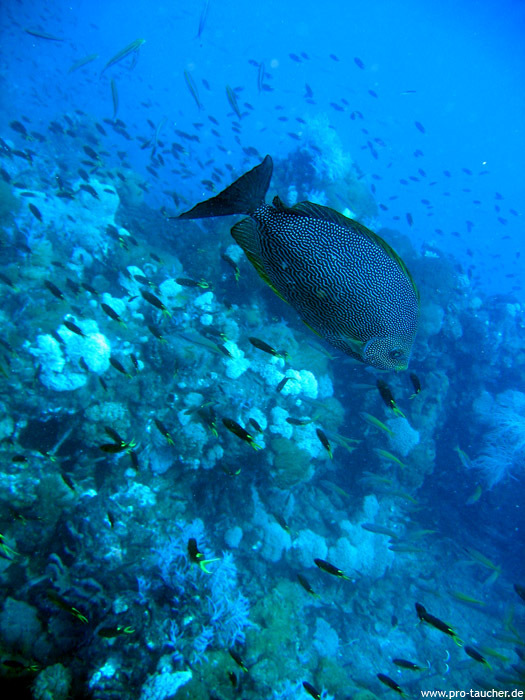 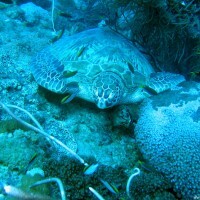 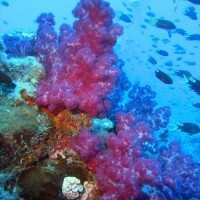 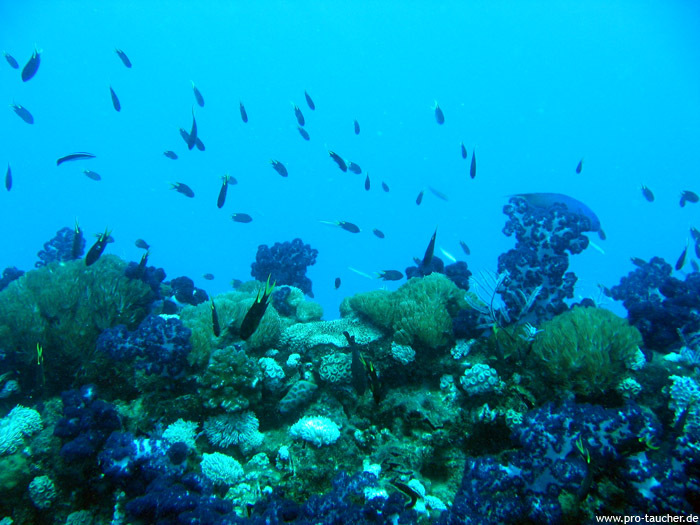 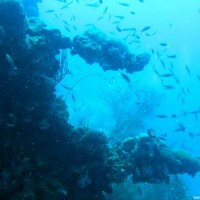 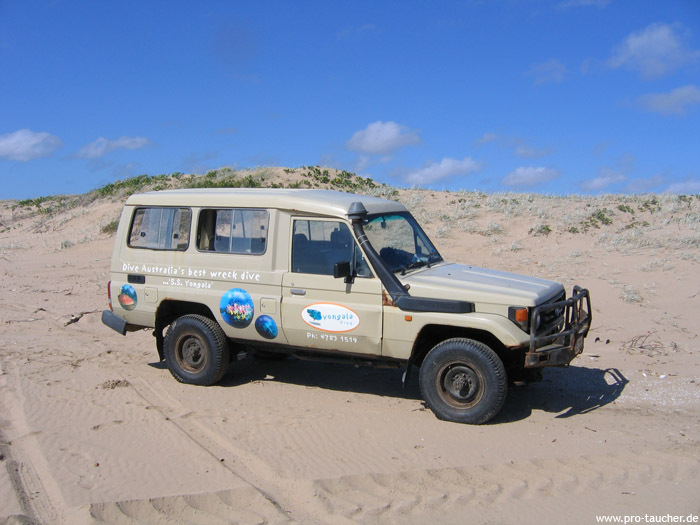 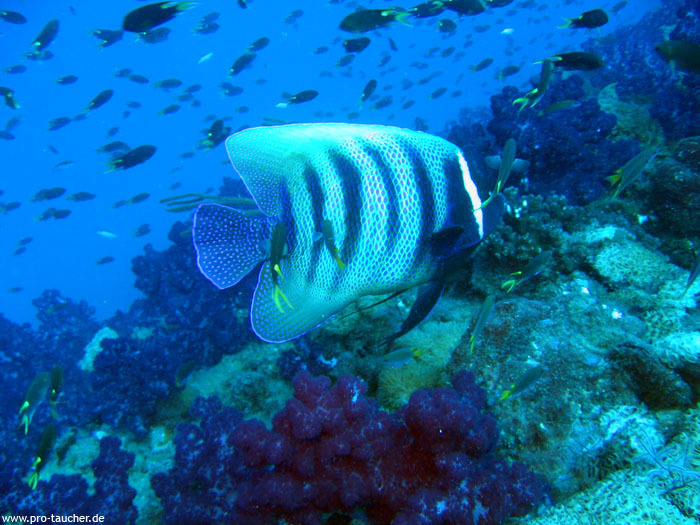 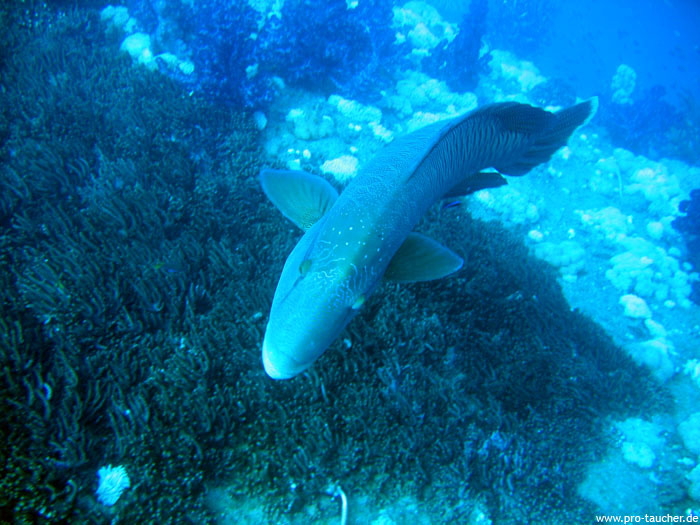 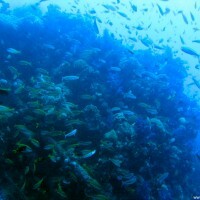 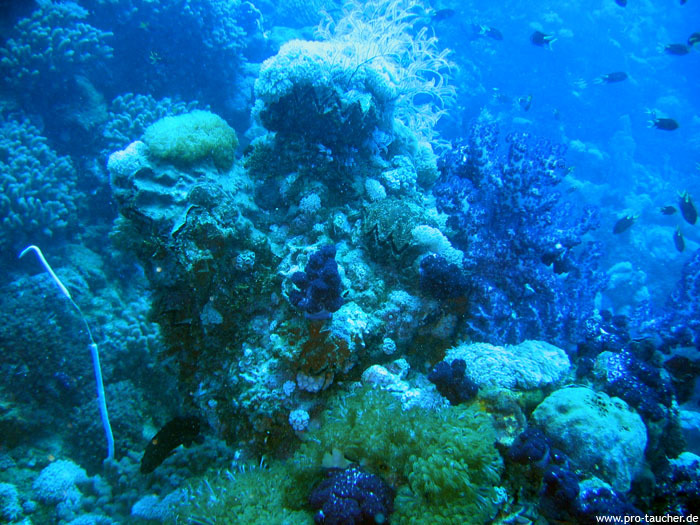 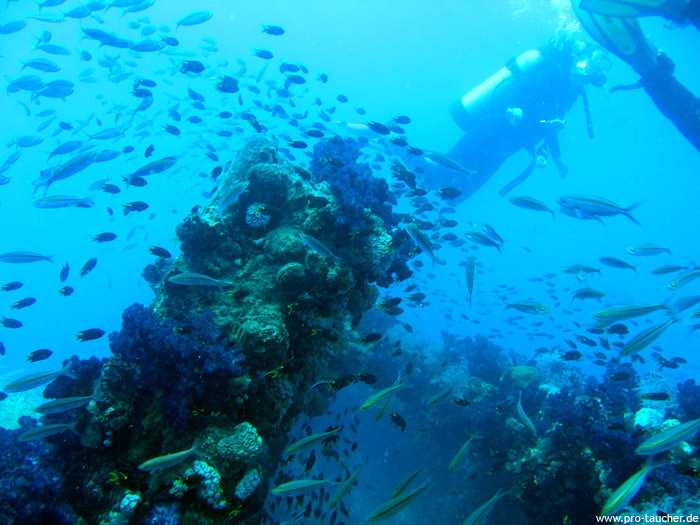 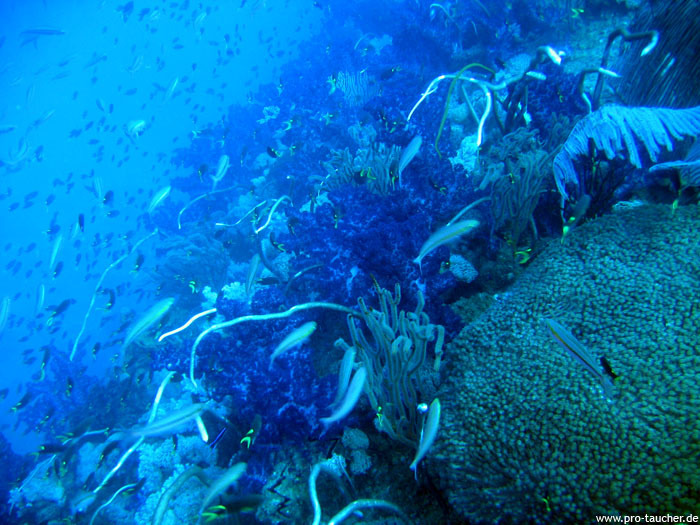 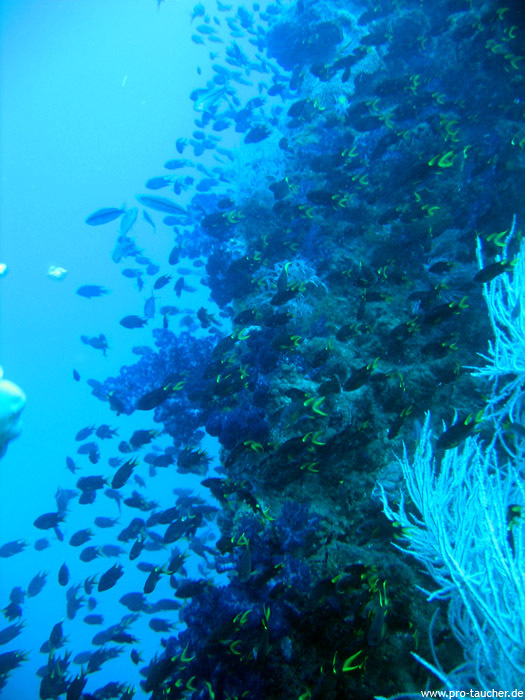 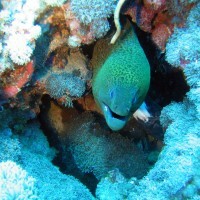 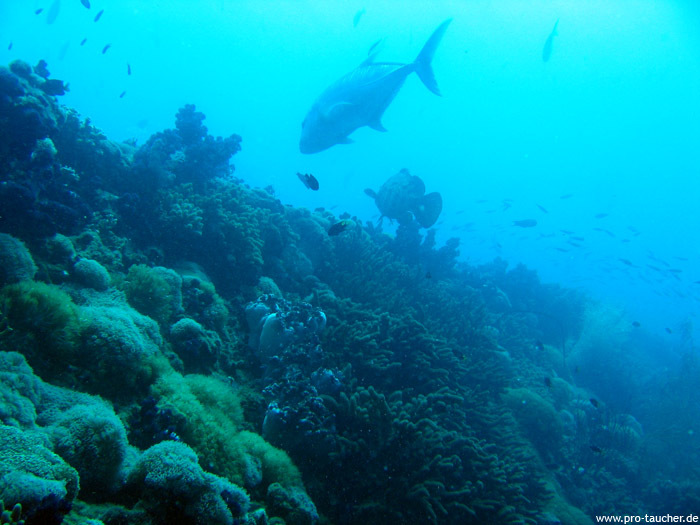 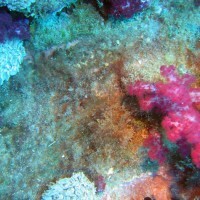 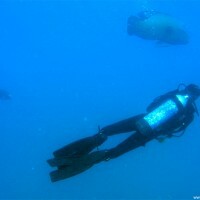 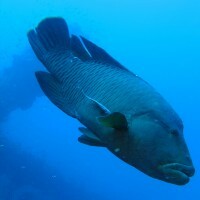 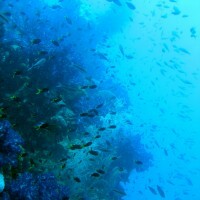 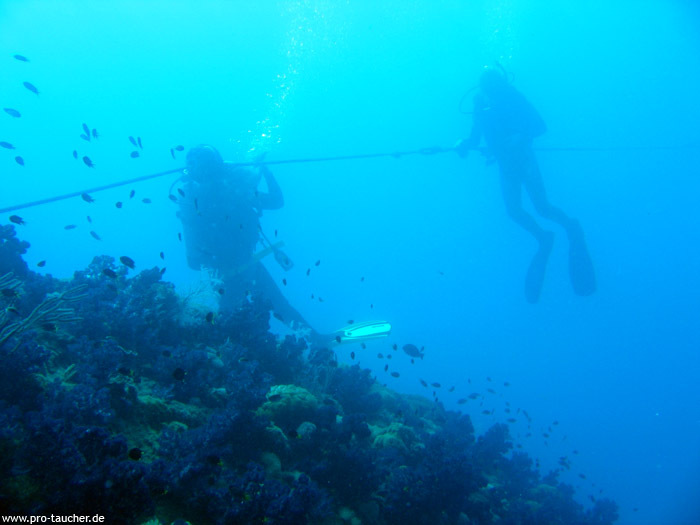 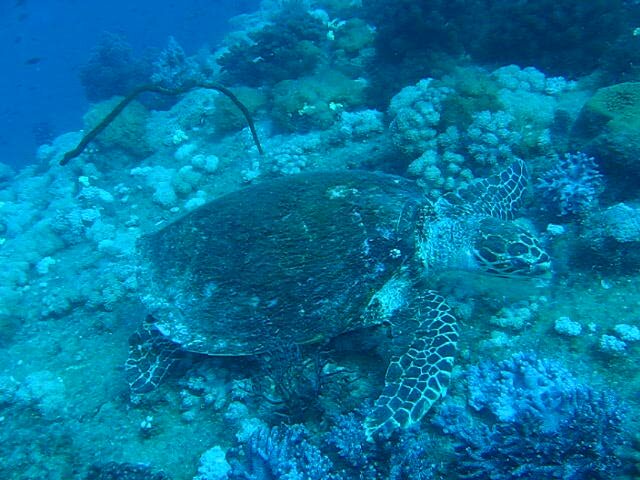 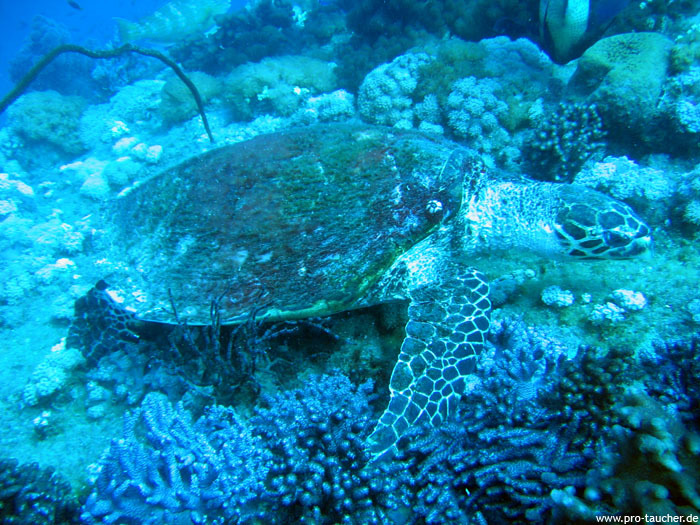 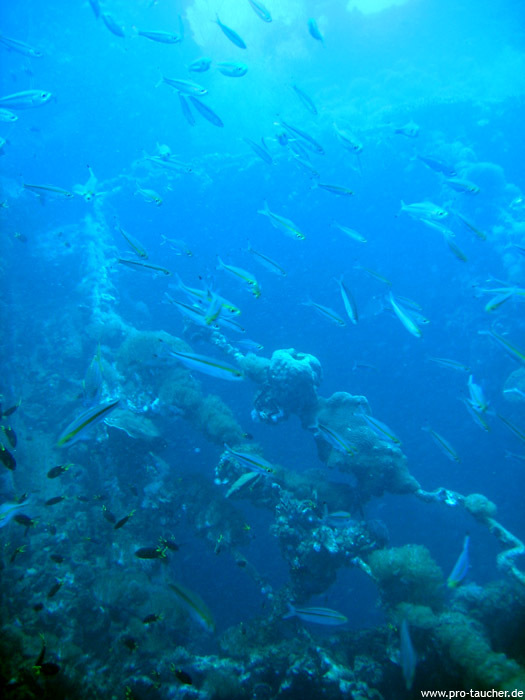 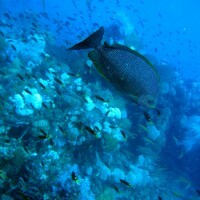 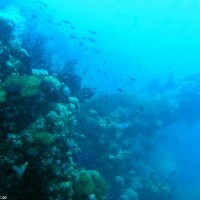 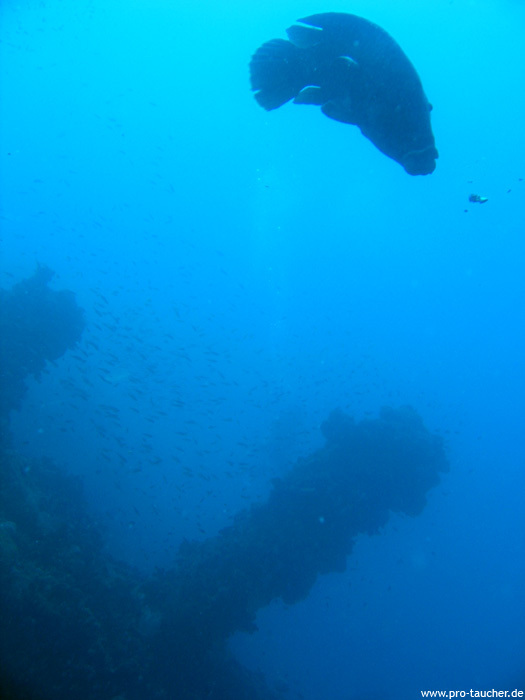 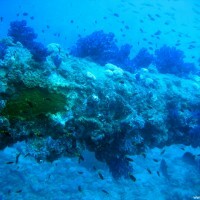 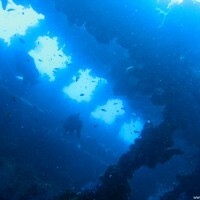 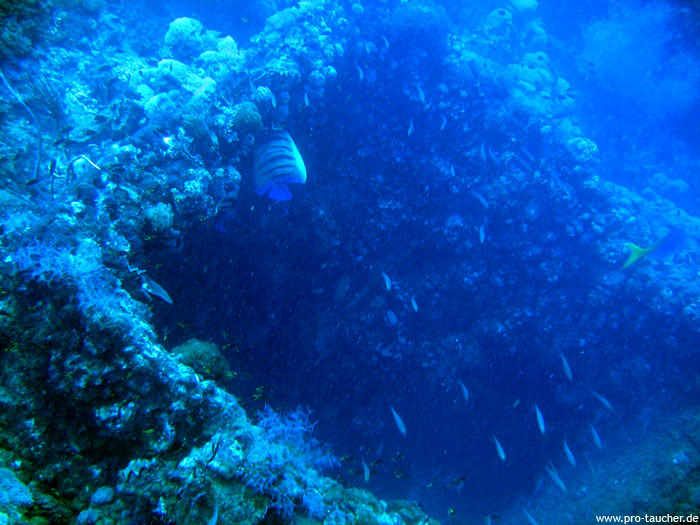 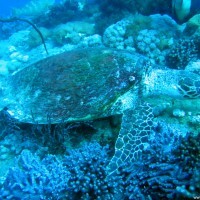 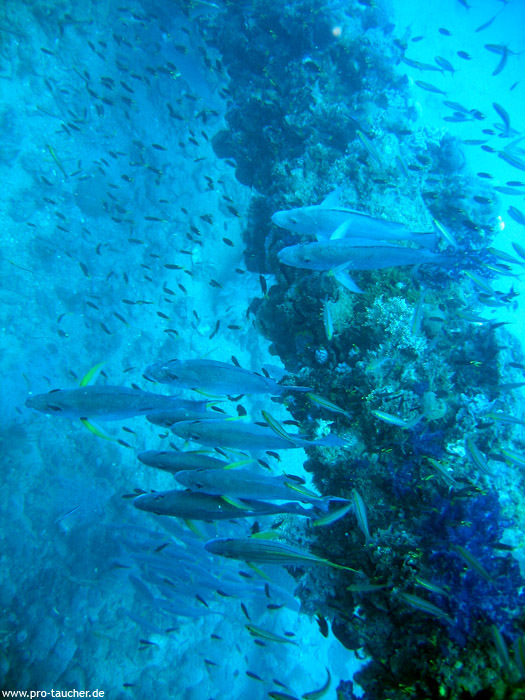 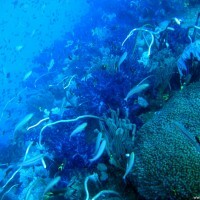 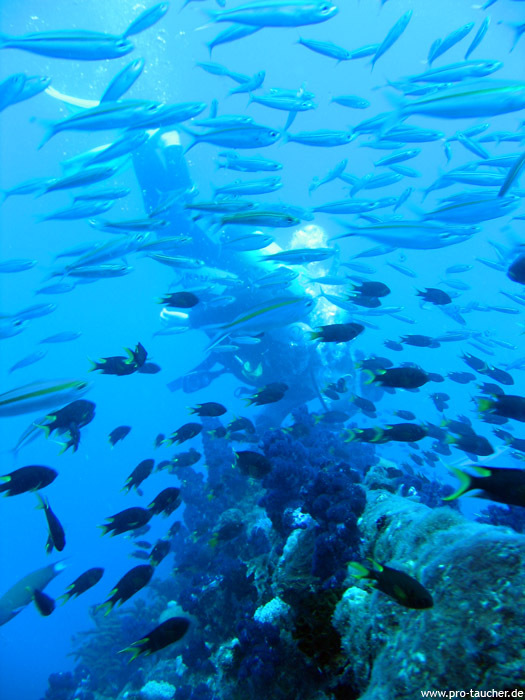 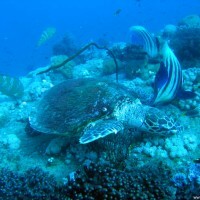 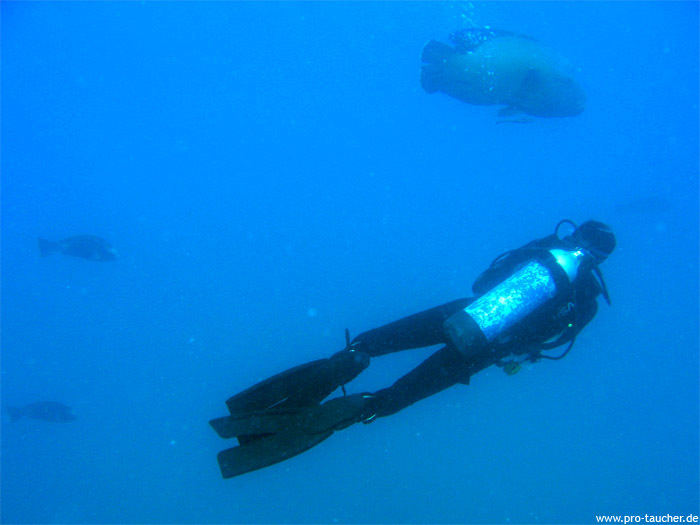 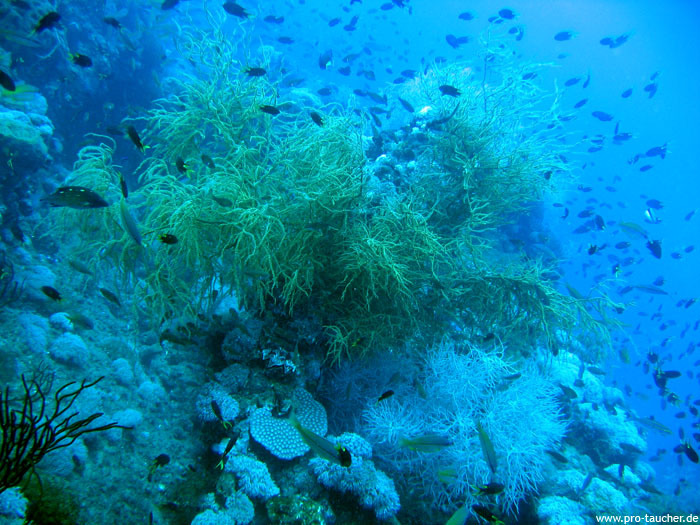 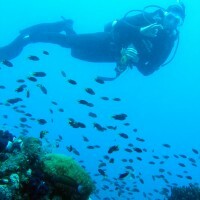 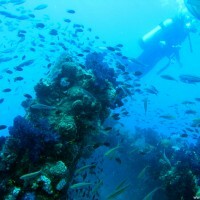 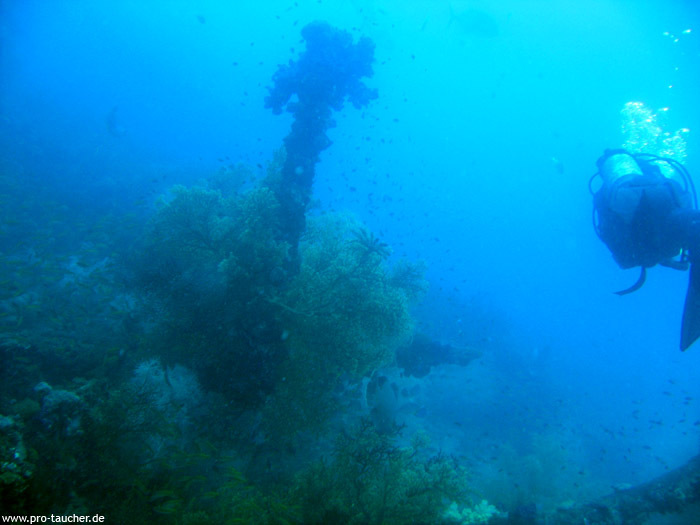 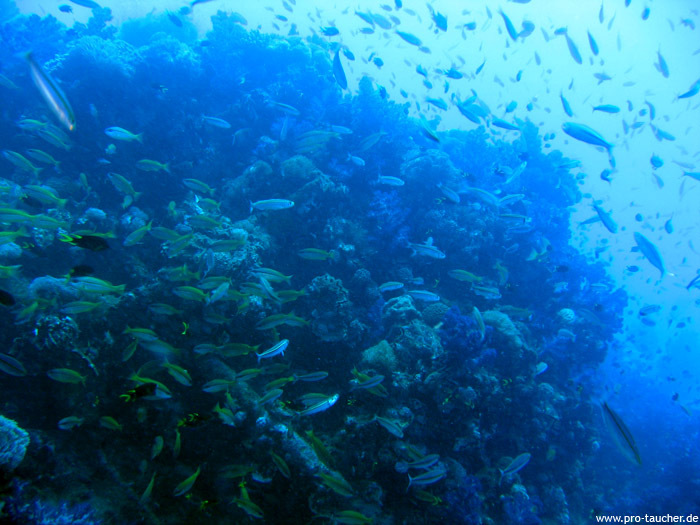 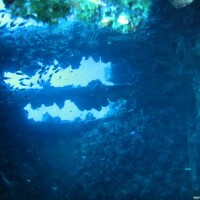 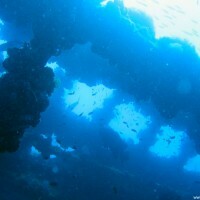 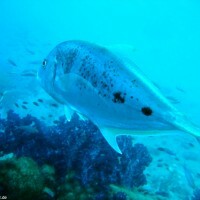 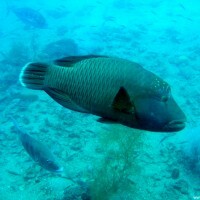 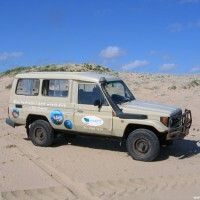 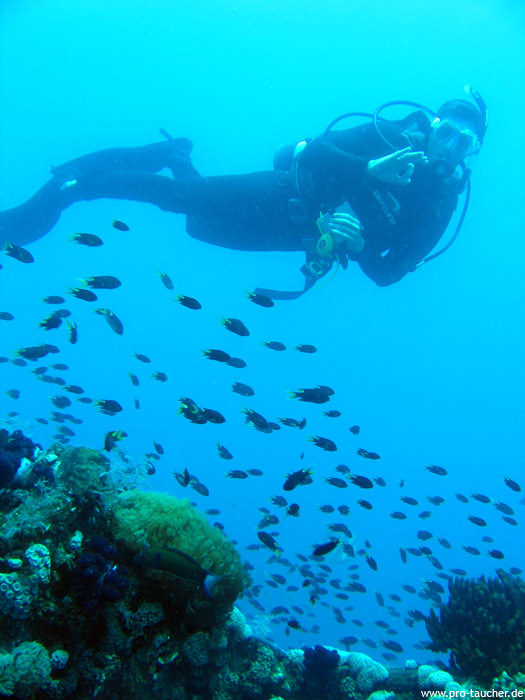 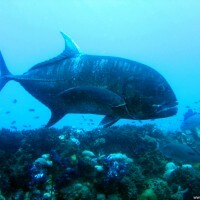 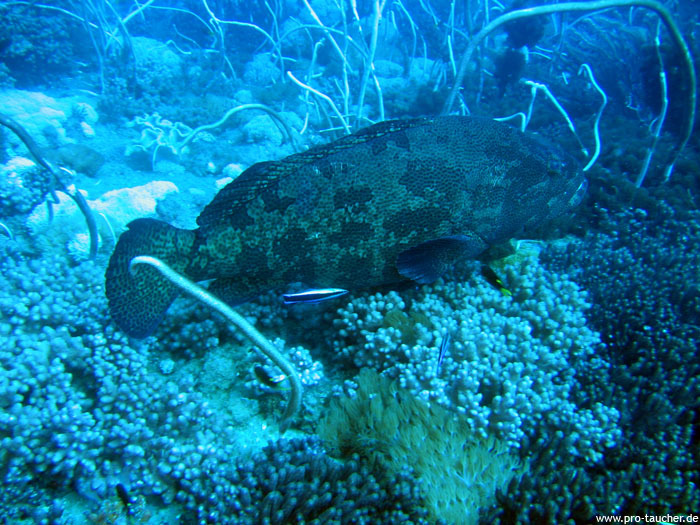 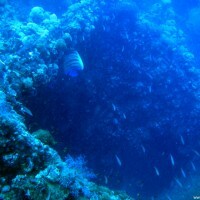 The only dive center in Ayr, "Yongala Dive" is also very small and offers more than the mass processing in Townsville. 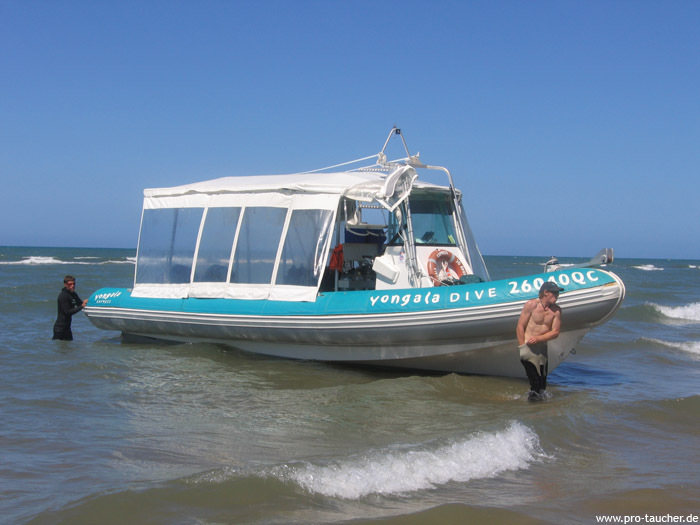 From Townsville it takes about 3 hours to Yongala and is usually driven in large mass transporter boats. 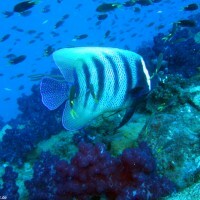 Overnight trips, starting in the evening in Townsville, with the possibility of 4 dives the next day, are certainly also recommended.